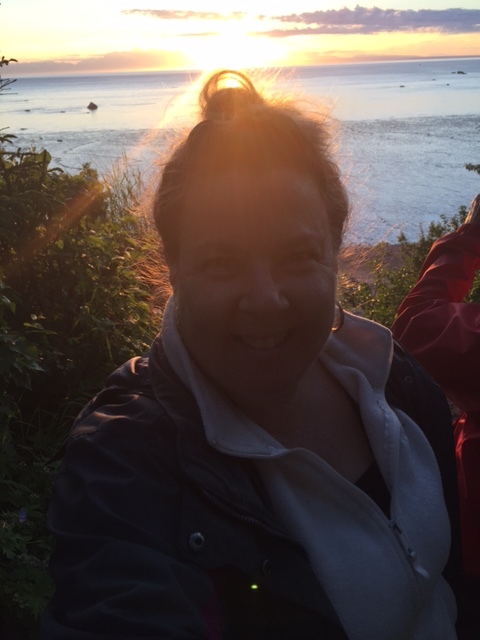 Rebekah M.: Sunset over Cook Inlet after a long day of fishing! 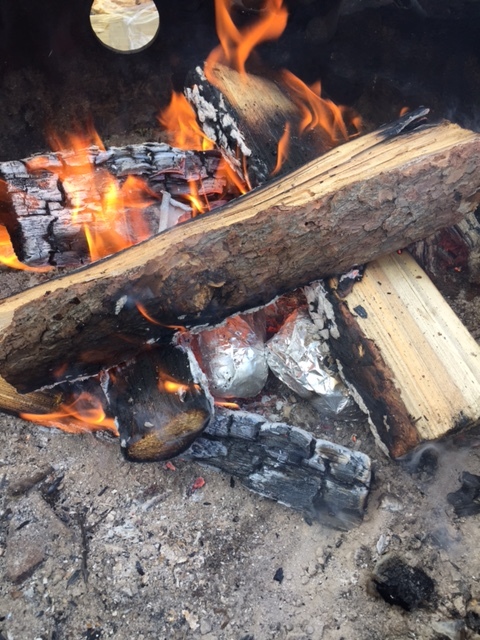 Rebekah M.: While camping at the Captain Cook Campground, we roasted our meal in the coals. Great way to limit the amount of caloric intake when the potato skin is burnt I centimeter in!! 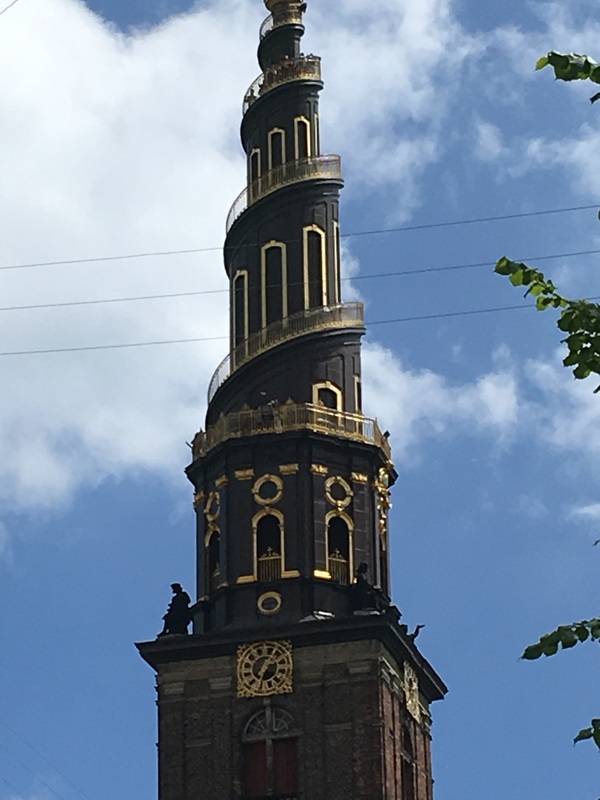 Melanie V.: Climbing to top – Getting my stair climbing on… going to the top of this church in Copenhagen. 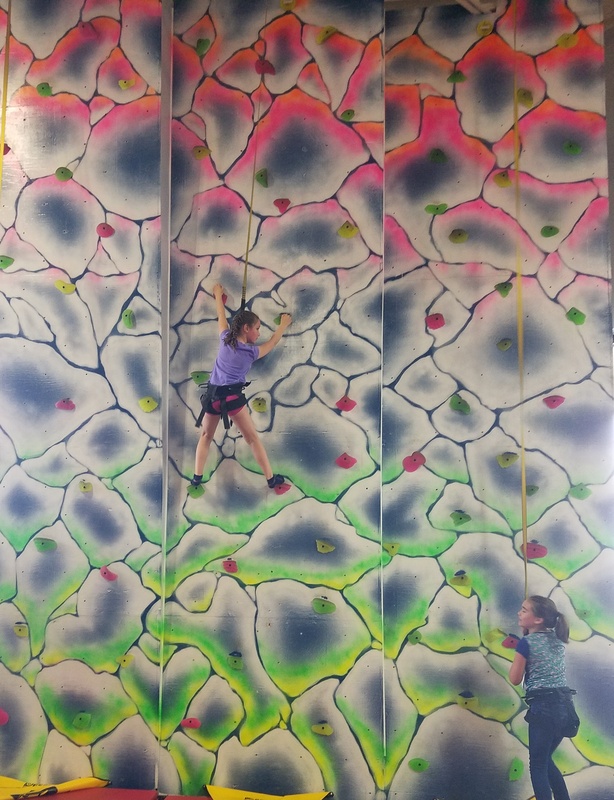 Randi F.: My daughter has been eager to try rock climbing this summer- Here her and her cousin are competing. 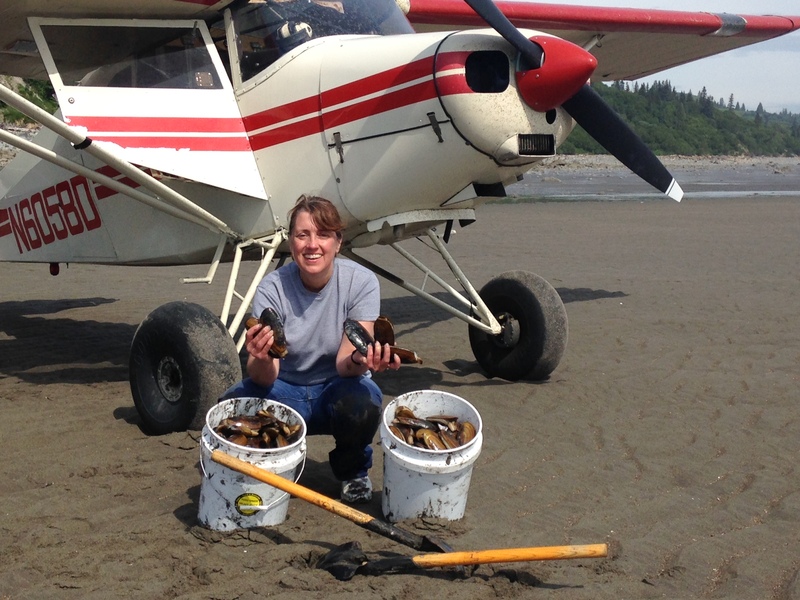 Kim J.: It was a beautiful sunny day with a great low tide, so my husband and I loaded the plane and went clamming. We got 200 razor clams in less than an hour. What a great way to spend a Sunday together! 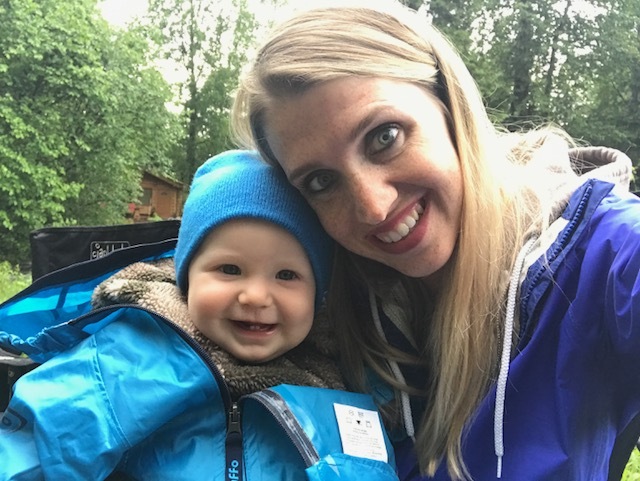 Michelle M.: My boy and I at his favorite park. We like to take him out there at least 3 times a week. Great Family time! 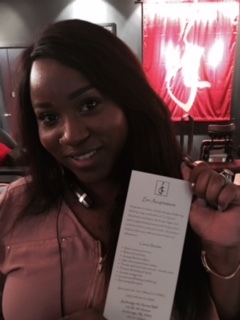 Denielle B.: My daughter, Chioma, and I had a GLOWing weekend! My niece, Britney, plays Carmen Wade in Netflix’s new series, GLOW (Gorgeous Ladies of Wrestling). 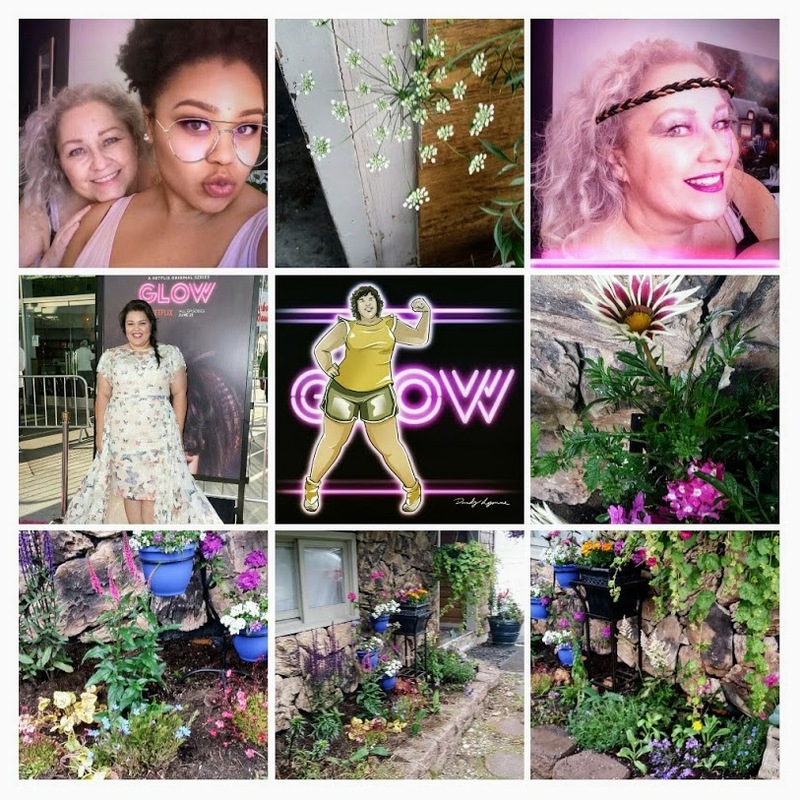 GLOW premiered on Friday and we restrained ourselves by only binge watching half, haha. We watched the other half on Saturday. My daughter found a way cool GLOW filter on Snapchat and there’s a fun GLOW character quiz on Buzzfeed (I got my niece. How awesome is that?). To make up for our binge watching, we went out and planted a bunch of neon pink GLOW flowers in our garden on Sunday. 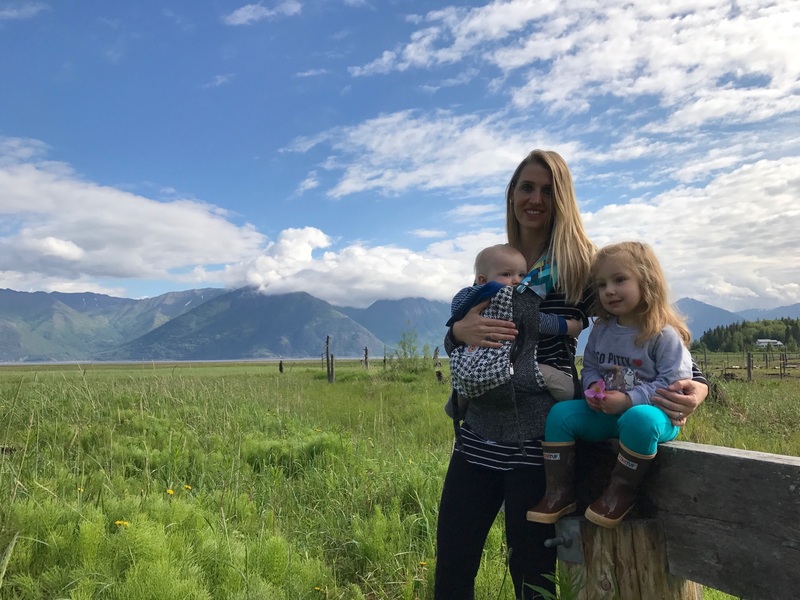 Britney is a Chugiak grad and getting some fabulous press. 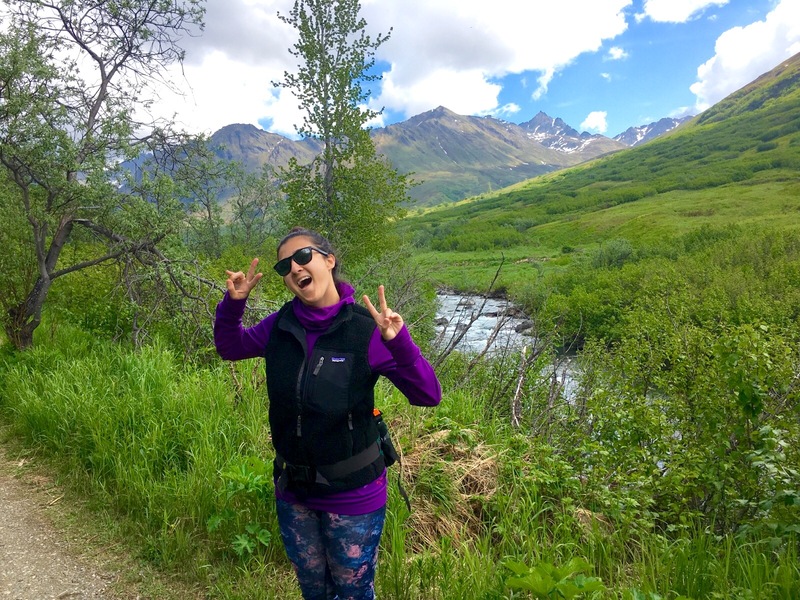 She sports an Eagle River t-shirt in one scene. Speaking of scenes, heads-up that there are a couple of them for mature audiences only (thankfully, NOT involving my niece, phew!). For those who watch, hope you enjoy the show! 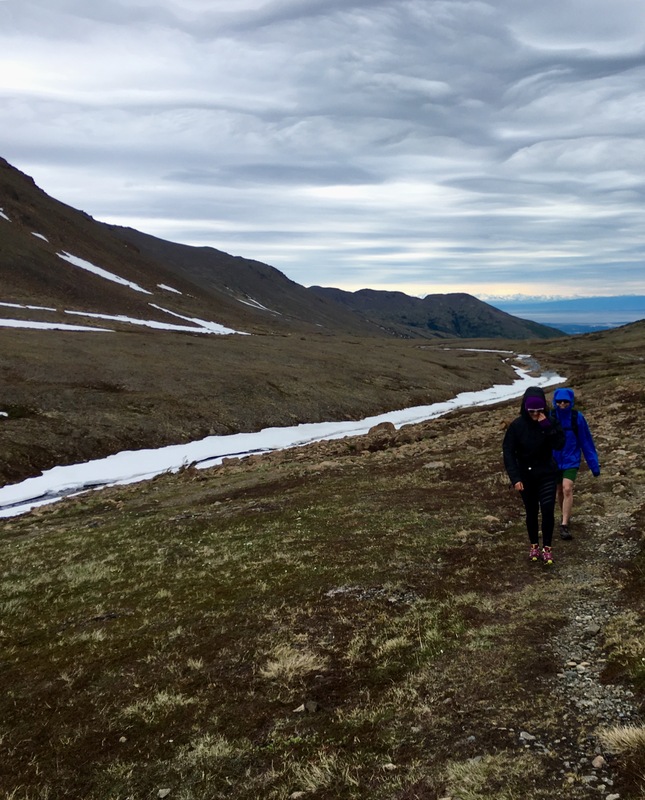 Heather C.: After 3 miles and about an hour long hike finally made it to the cabin in Healy. Well worth the trek in bug infested marsh lands to this gorgeous view! 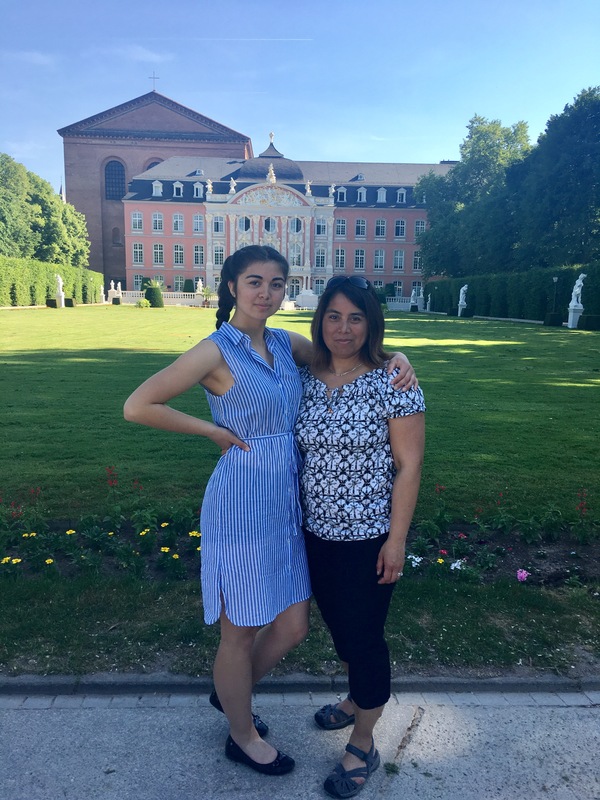 Melanie V.: Royal Residences – Standing in front of the current Queen of Denmark’s residence waiting for the changing of the guards. 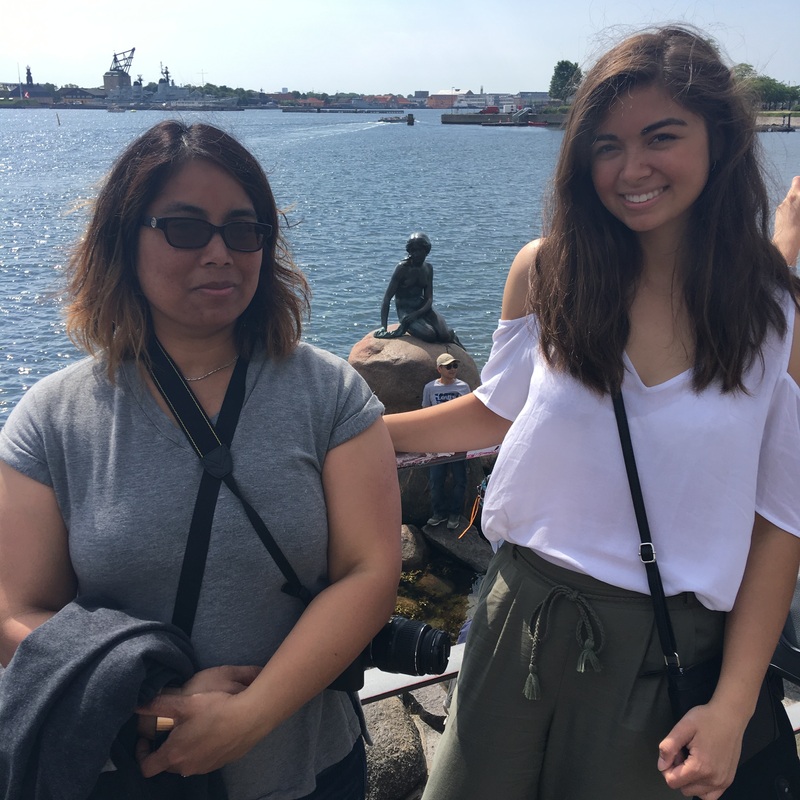 Melanie V.: Roaming around Copenhagen and found the Little Mermaid! 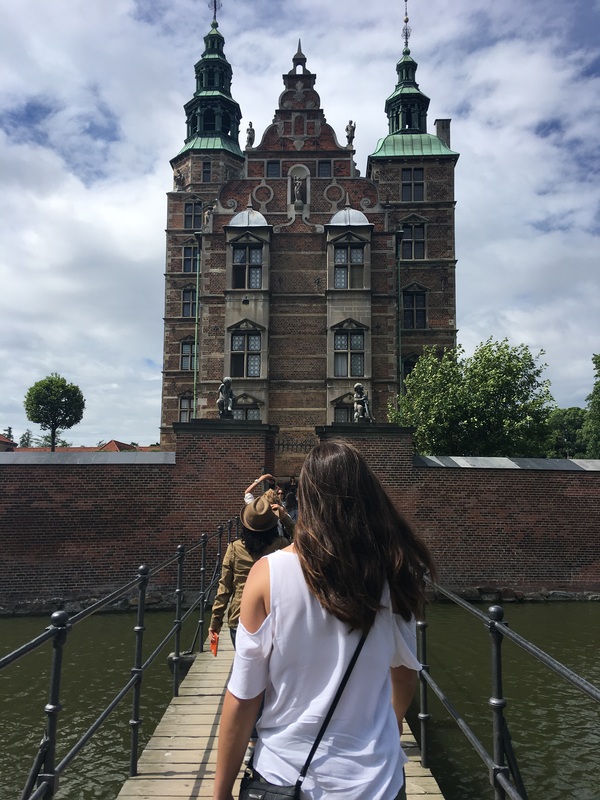 Melanie V.: Hamlets’s Castle – Exploring Kronborg Castle built in the 1400’s in Denmark. It is known as Hamlet’s Castle from Shakespeare’s play Hamlet. Live performances of Hamlet have been performed in this very courtyard over the years with Laurence Olivier, Christopher Plummer and Jude Law playing Hamlet. 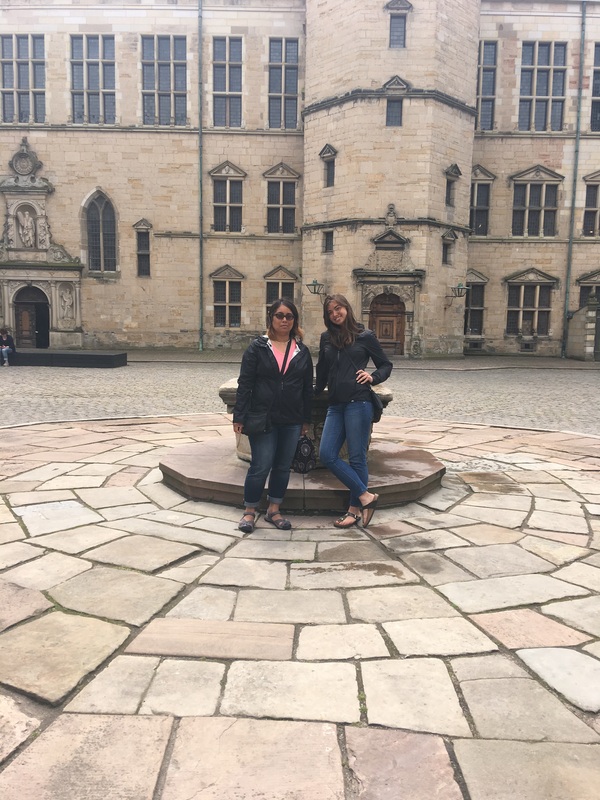 The day we were there touring the grounds, they had live interactive actors playing out scenes from Hamlet throughout the castle. 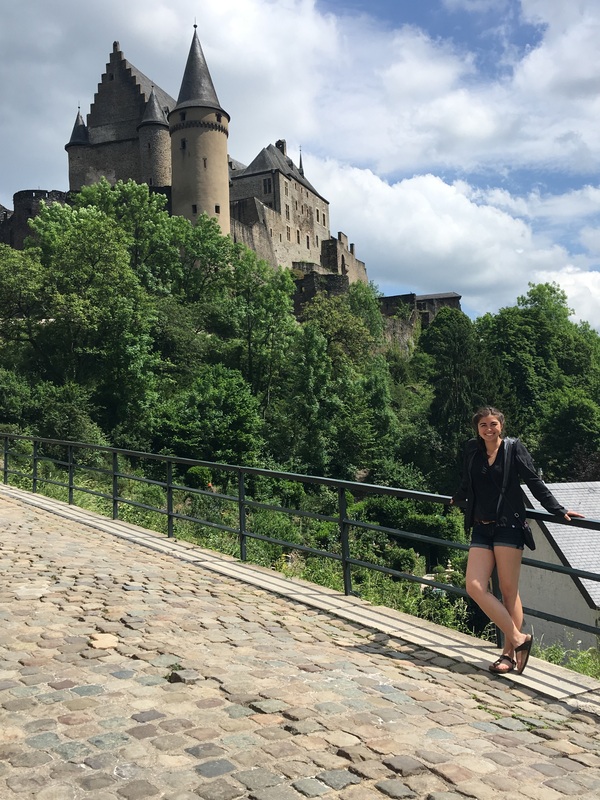 The best part was venturing underneath the castle through the underground caves & tunnels. 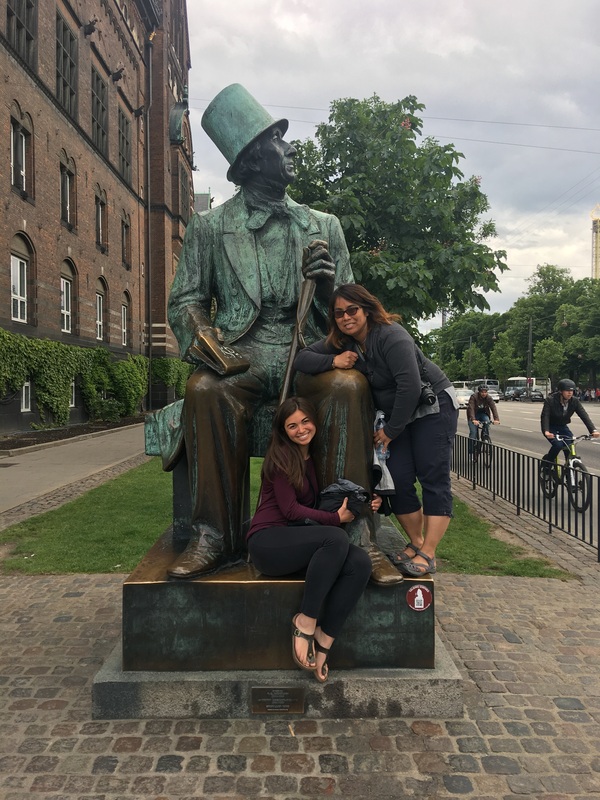 Melanie V.: Roaming around Copenhagen and found Hans Christian Andersen. Holly W.: This weekend my family and I got to get to enjoy the outdoors at our family cabin in Eureka. 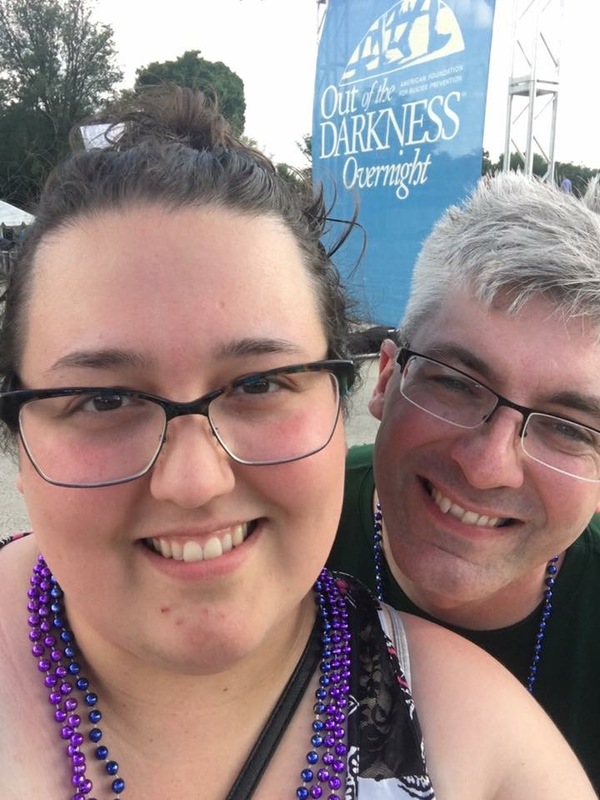 Karen Z.: My friend and I flew to Washington DC to participate in the 2017 Overnight Walk for Suicide Prevention and raised over $1000 towards this cause. During the 6 days we were there, we walked over 60 miles! 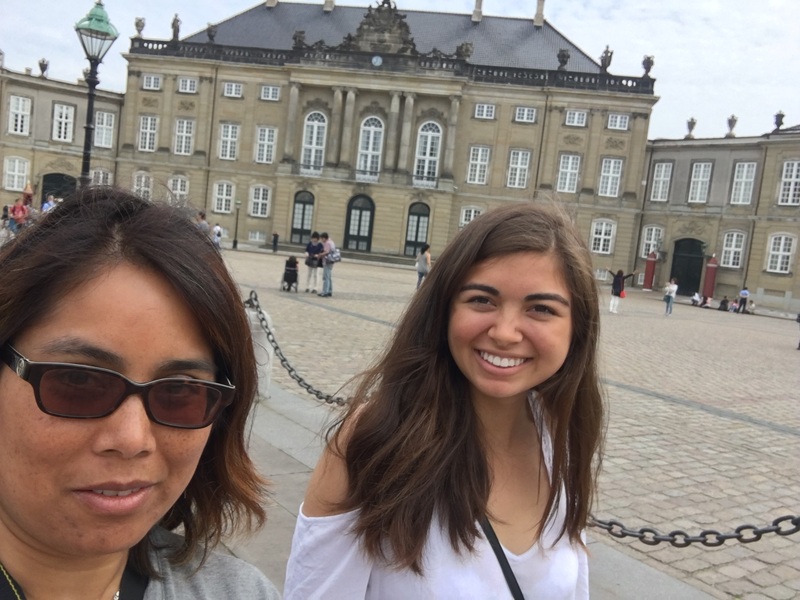 Melanie V.: Royal Palace in Copenhagen – Visiting the royal palace of kings and queens of old. It is now a museum and you can even see the some of the crown jewels. 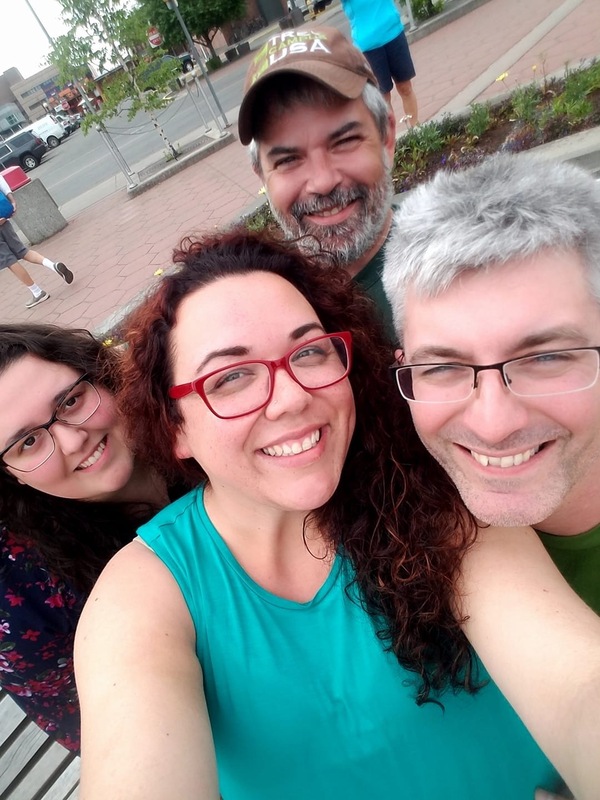 Rebecca V.: My family this weekend enjoying the nice warm weather at the park! 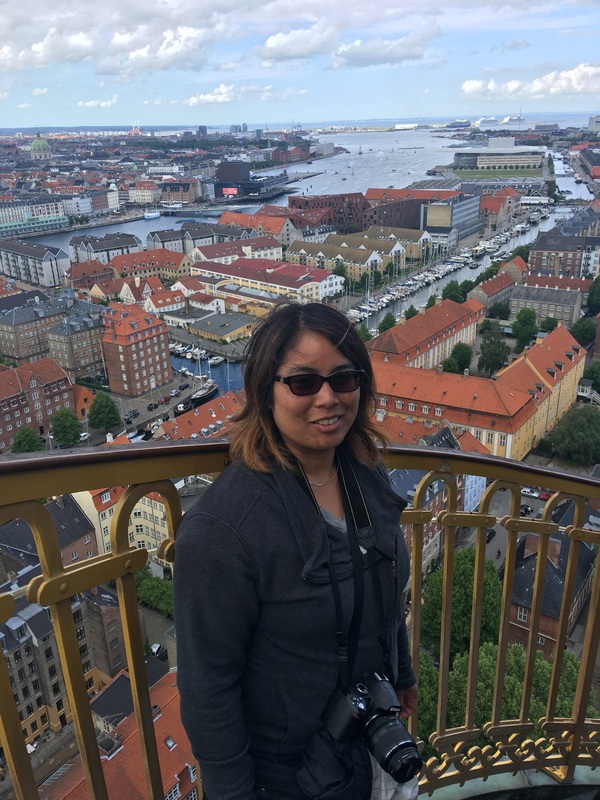 Melanie V.: View of Copenhagen – It was worth climbing all those steps for this view overlooking the Copenhagen canals. Still have a little ways to go…only ¾ the way up from this vantage point. 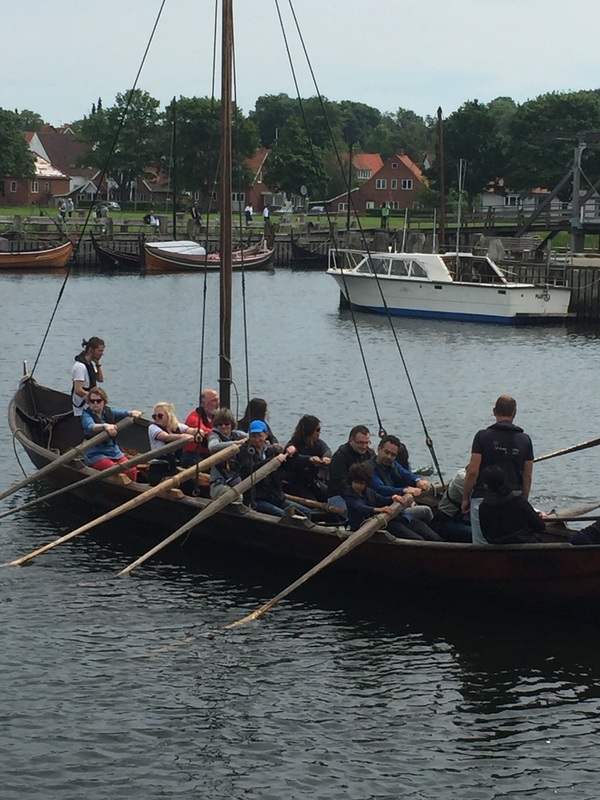 Melanie V.: Viking Sailing – Getting to try my hand at being a Viking while rowing a replica of a Viking ship in Denmark. Once we were out of the harbor, we did get the sail up. 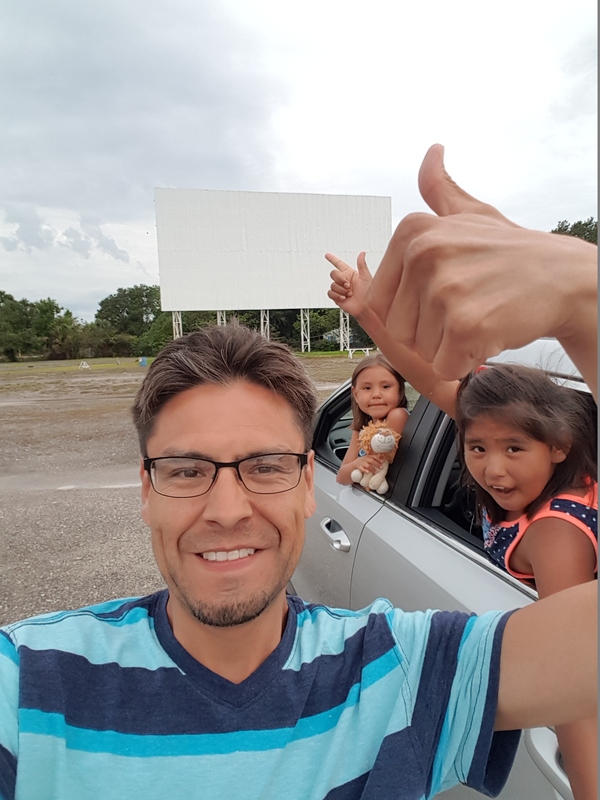 Jeffery W.: Here is me and my 2 daughters at a drive-in movie in Tampa, Florida; our first drive-in movie. We watched Wonder Woman and it was great! 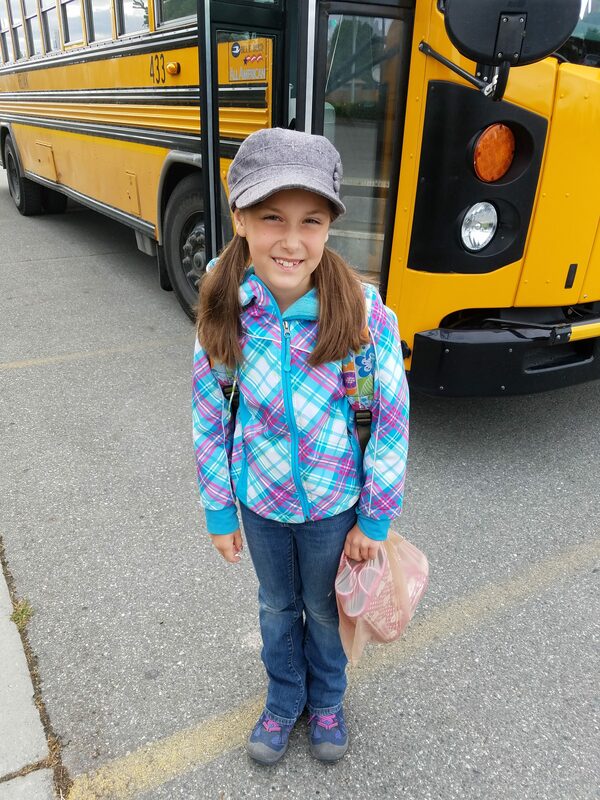 Holly W.: We went on a family adventure to Hope, where we walked around town, roasted hot dogs and marshmallow, and splashed in puddles. 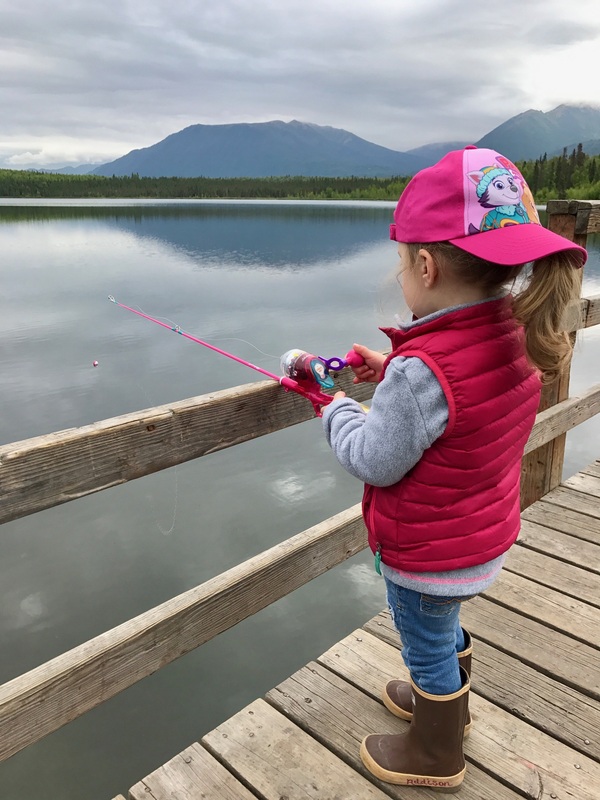 We also went fishing at Beach Lake in Chugiak. 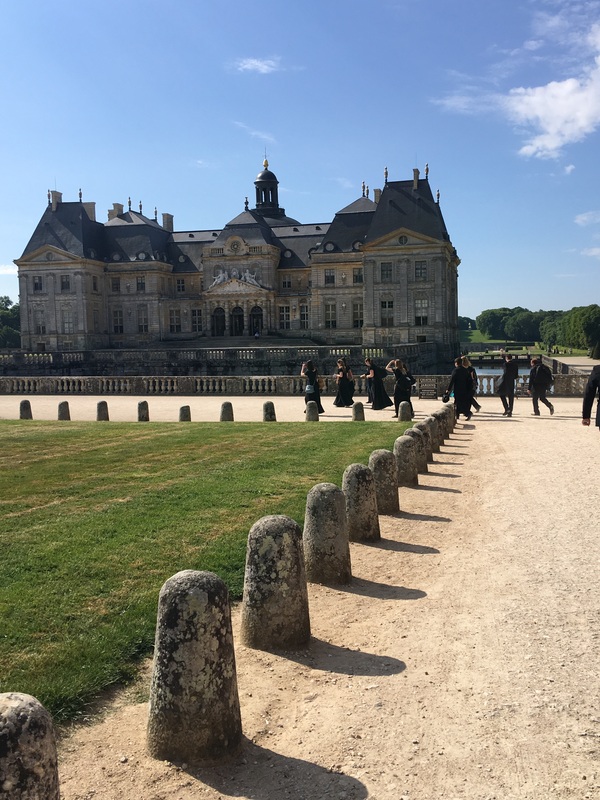 Melanie V.: Getting to venture around the interior and the grounds of this lovely French chateau, and listening to my daughter’s choir sing was heavenly. 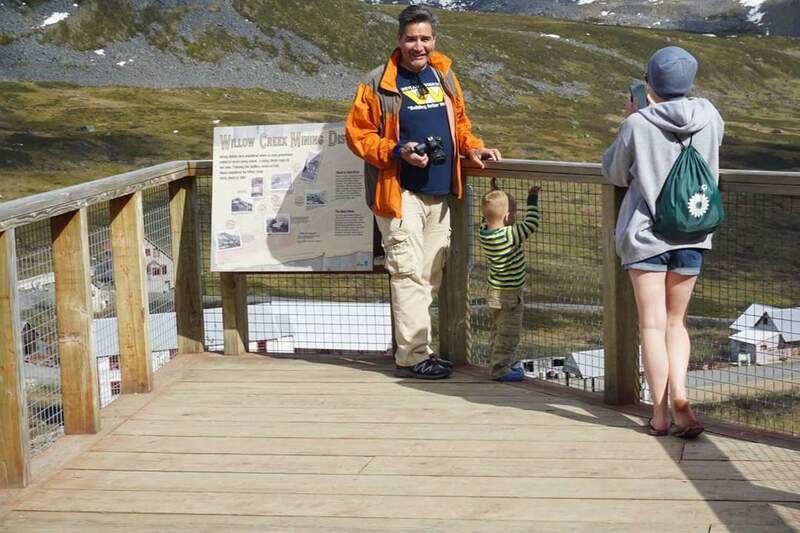 Chet K.: Hiking with my family at Hatcher’s Pass and Independence; with my cousin (not pictured), her daughter, and her grandson (both pictured). Tipasa F.: Soooo excited to hit a personal best on Deadlifts lifting 617lbs! Out of the 3 lifts that I perform at the Powerlifting Meets between Squat, Bench, and Deadlift .. this was my weakest lift out of the 3! 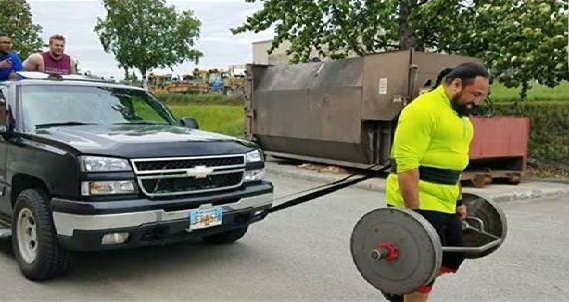 I’ve taken time to train each muscle group involved with the deadlift in order to have the best leverage. 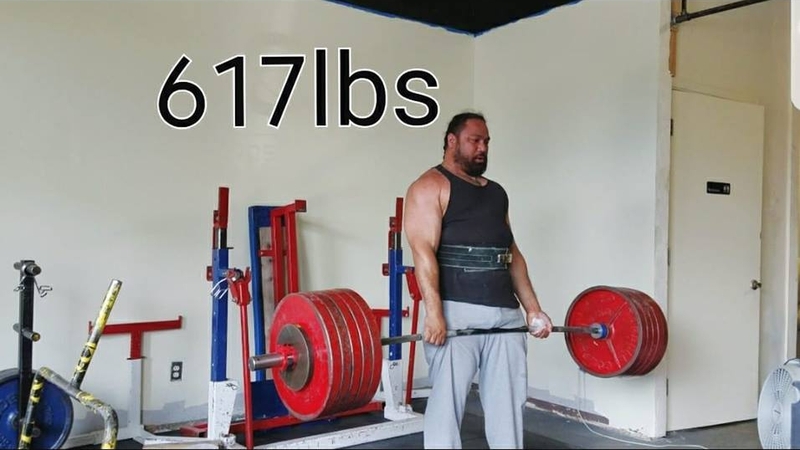 Last year, I started at 405lbs deadlift, now I’m all the way up to 617lbs! Feeling good! 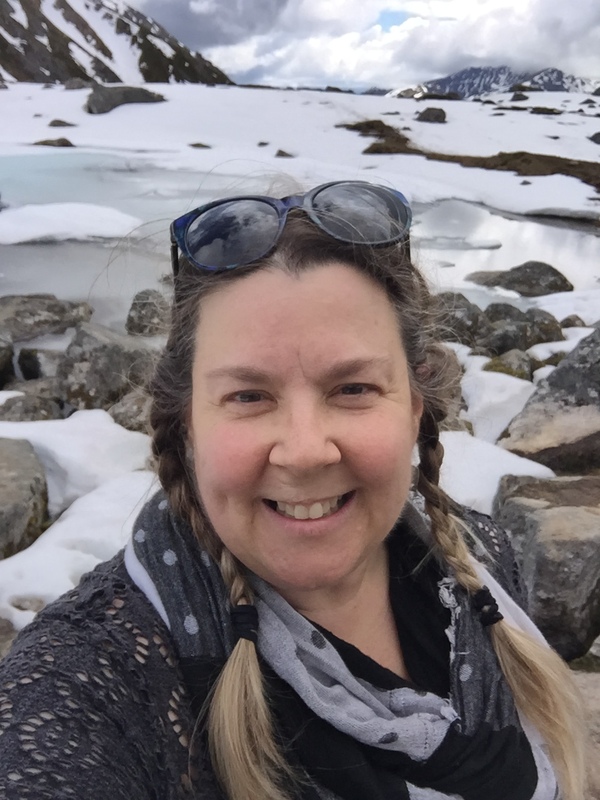 Michelle M.: Went on a mellow hike with my friend to Gold Cord lake. Was such a beautiful day to soak in the sun, sights, and fresh air. 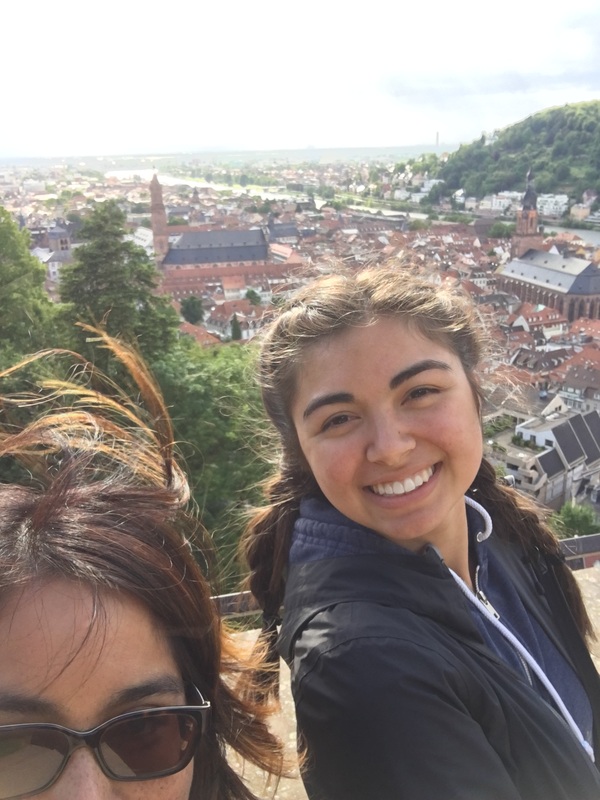 Melanie V.: Venturing around Heidelberg, Germany. Great view from both the castle and from the town looking up at the castle. 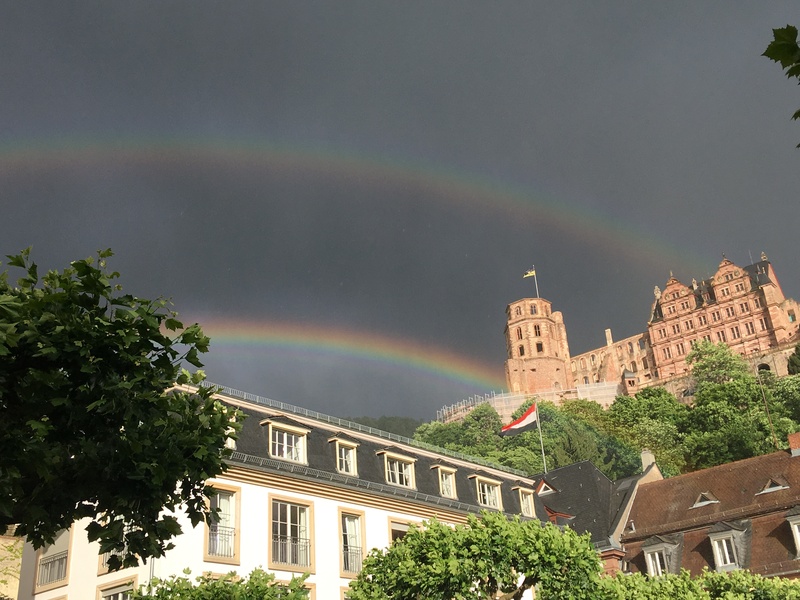 Although, we were got rained on, it was worth it to see the double rainbow. 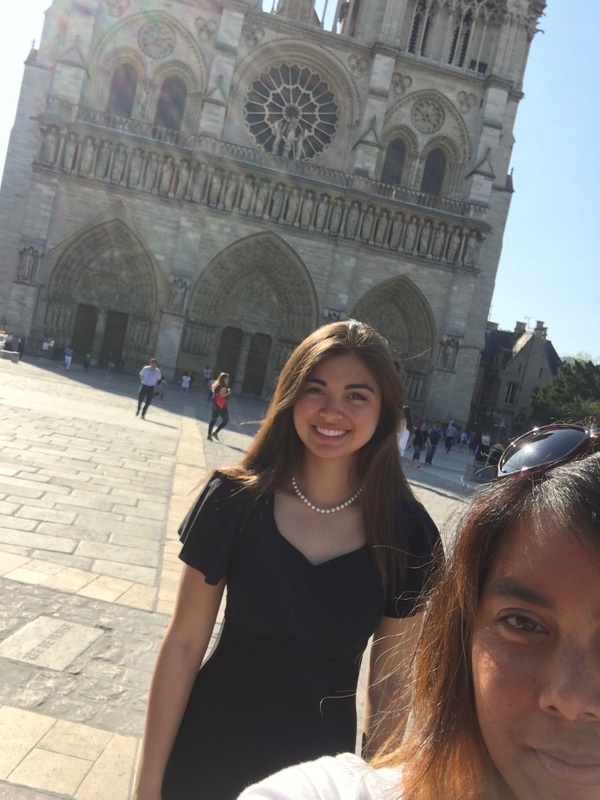 Melanie V.: More exploring around Paris and getting to listen to my daughter’s choir sing in Notre Dame. 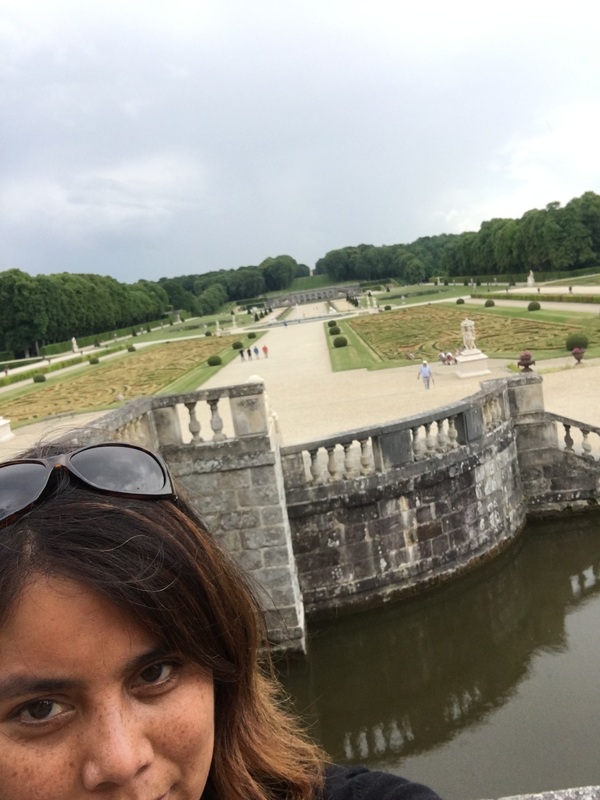 Melanie V.: Following the cobblestone road up to this Chateau in Luxembourg where we were able to venture throughout this chateau built in the 16th century. 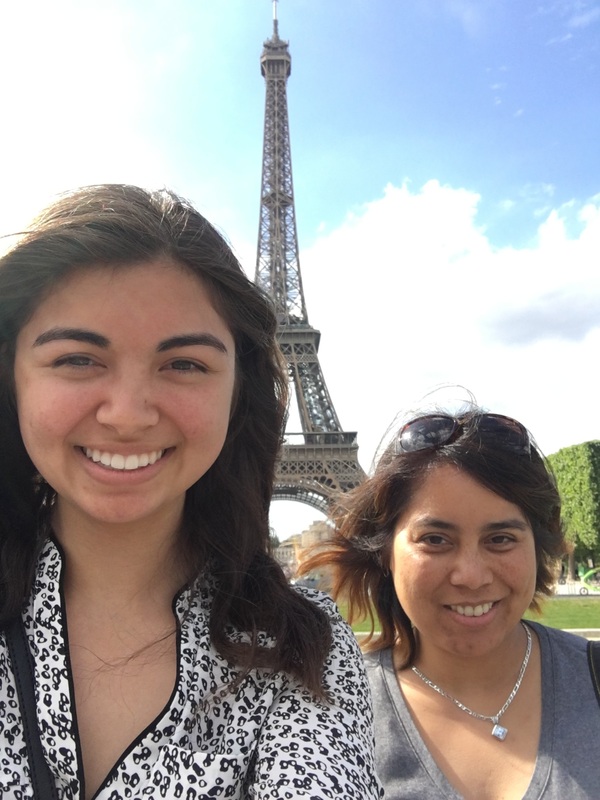 Melanie V.: Getting my steps in exploring and sightseeing around Paris with my daughter! 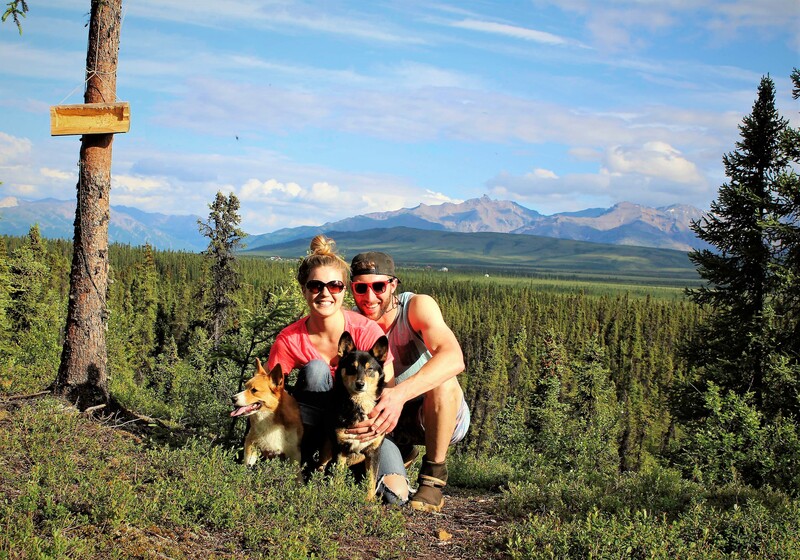 Chelsea S.: My boyfriend and I were on a drive out of town for dinner and I wanted to explore and adventure. 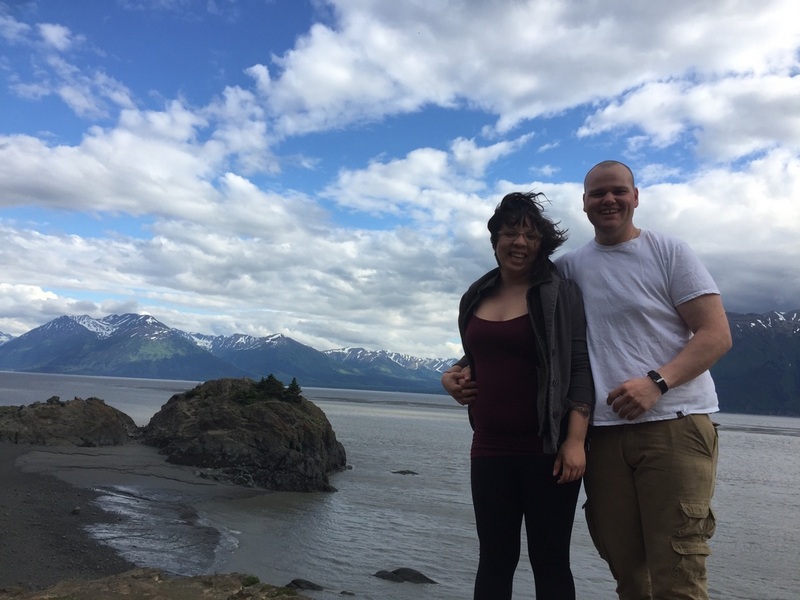 On our way to Girdwood we stopped at Beluga point and walked along the beach and climbed up the rocks. 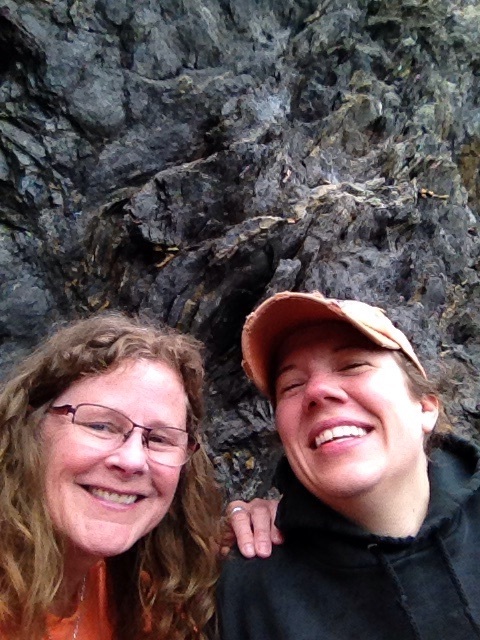 Tracy P.: This is me and my friend Manda climbing around on the rocks at Sandy Beach. 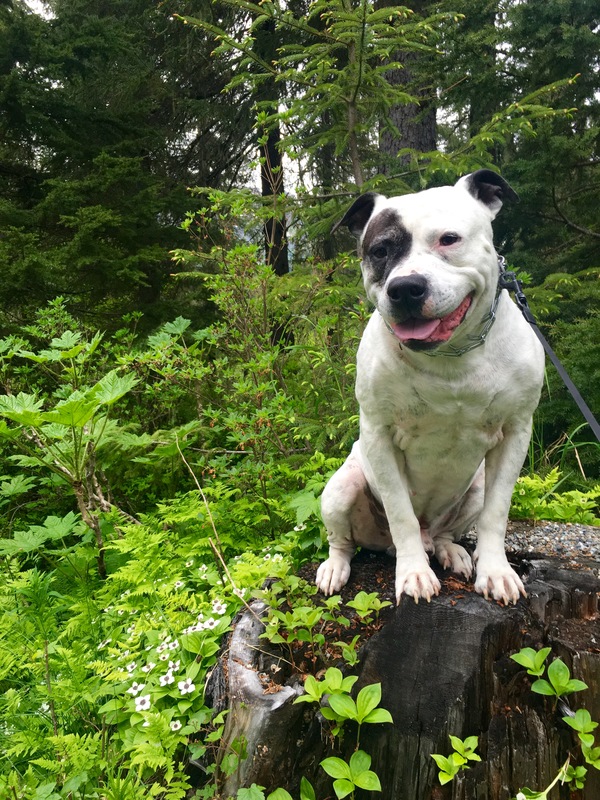 We hike there often through the woods to search for treasure (beach glass) and swim our dogs. 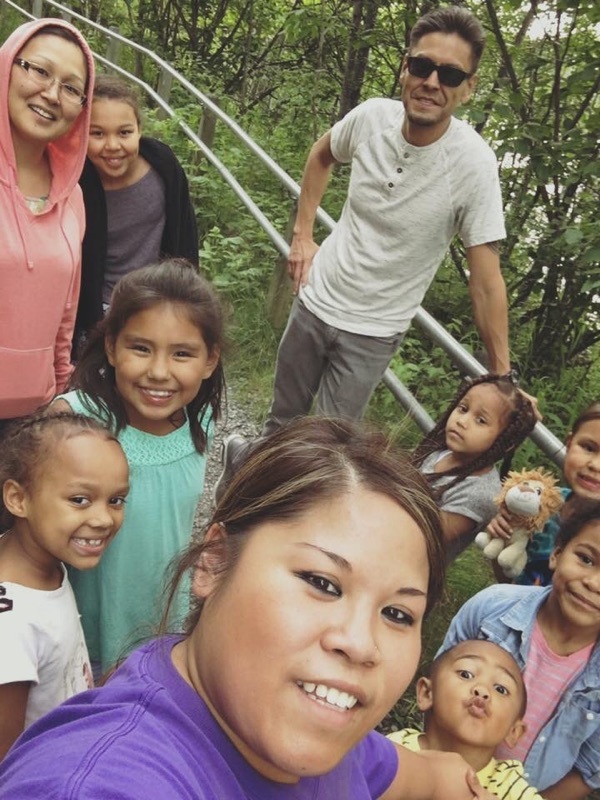 Patricia S.: This weekend I went camping out in Palmer, AK with some friends and our kids. 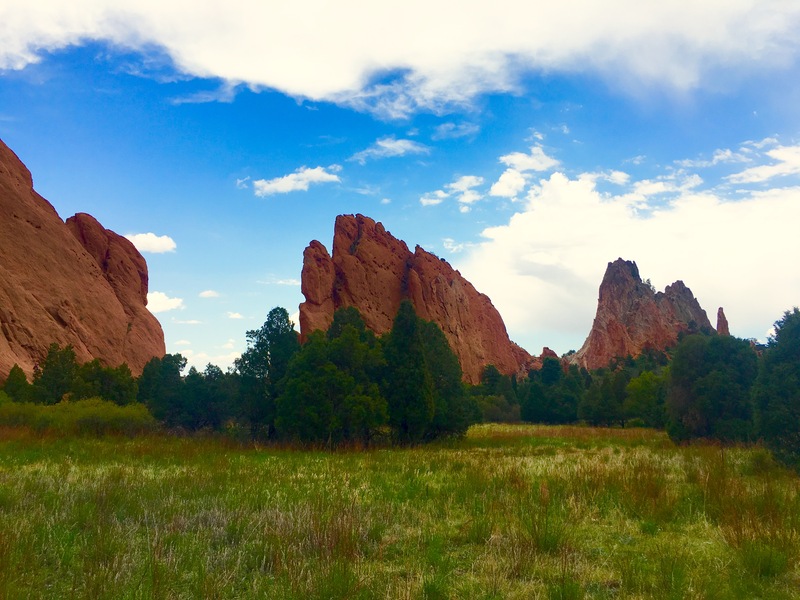 This picture is taken on the trail as we were walking to explore! 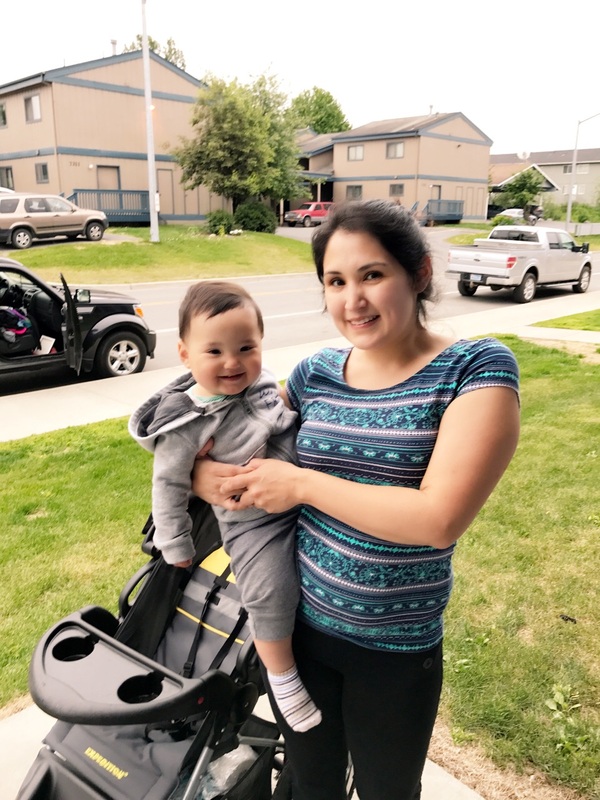 Shelly B.: Here is a picture of my son and I after our walk to the park. We love getting outside while its warm out! 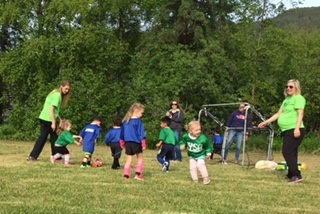 Janet S.: Tristan #3 in the green shirt, playing in his very first soccer game and making a save! 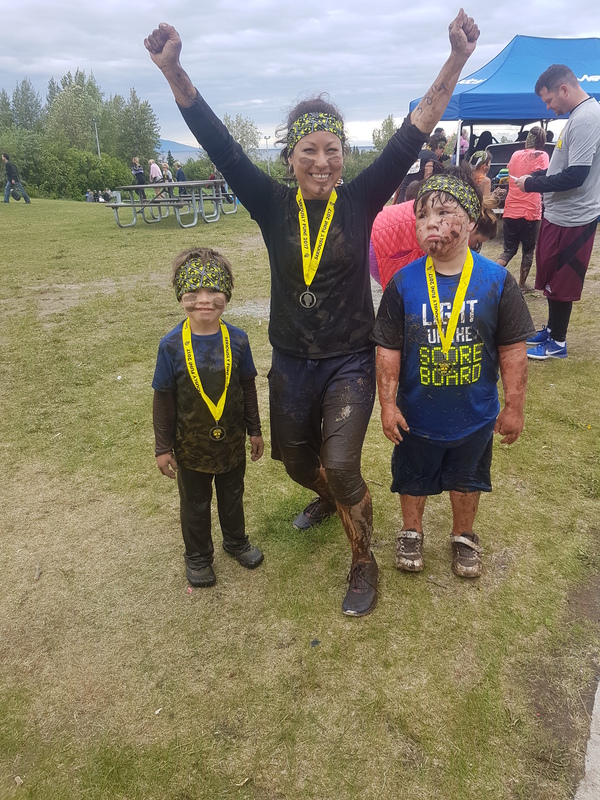 Cindy L.: My family and I love running around on trails and exploring new areas of Alaska; however, this day at the 2017 Family Mud Run was a bit windy and cold!! 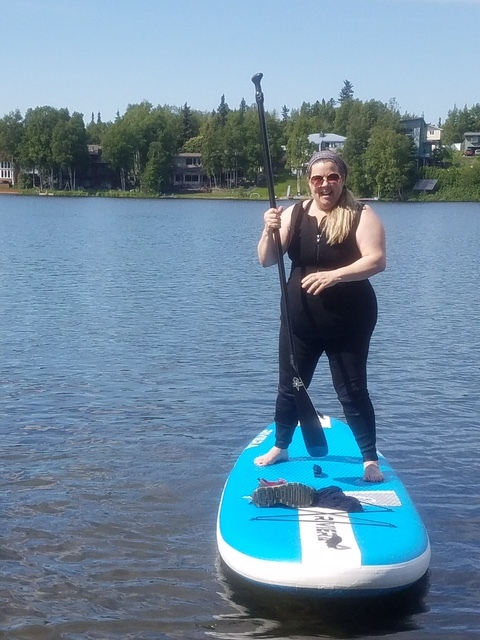 Rebekah M.: The maiden voyage of my new stand up paddle board. 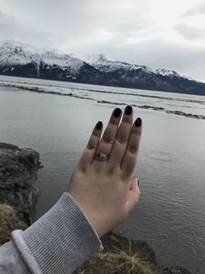 This photo taken at Sand Lake in Anchorage. 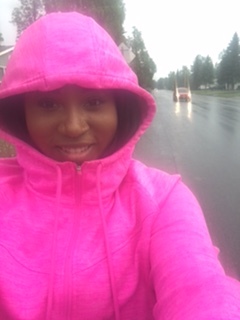 Next weekend will be somewhere in the Kenai Peninsula!! 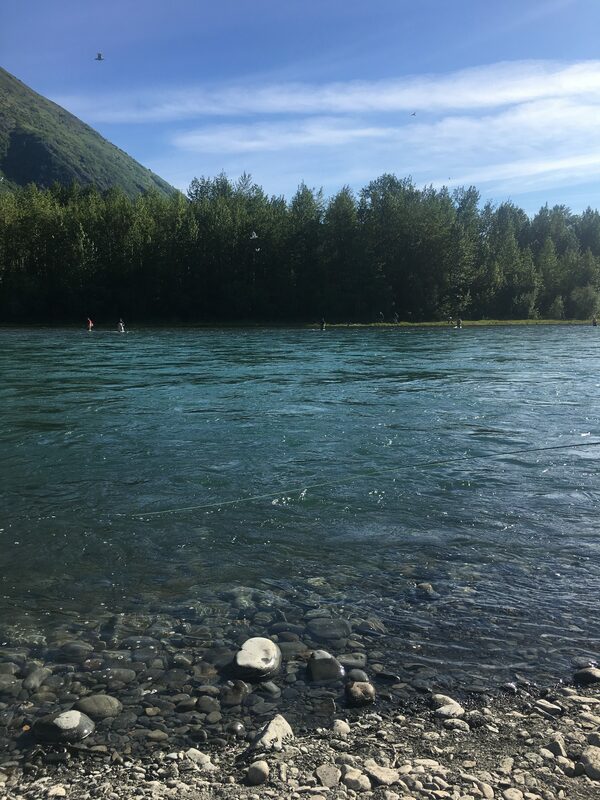 July will be Portage Lake right up to the glacier! Can’t wait and will definitely be wearing the wet suit. 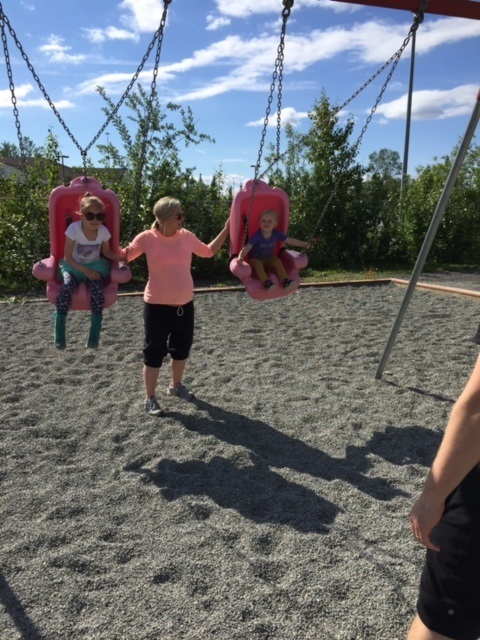 Rebecca V.: My family walked around the anchorage solstice events this weekend and got some good sunshine and exercise! 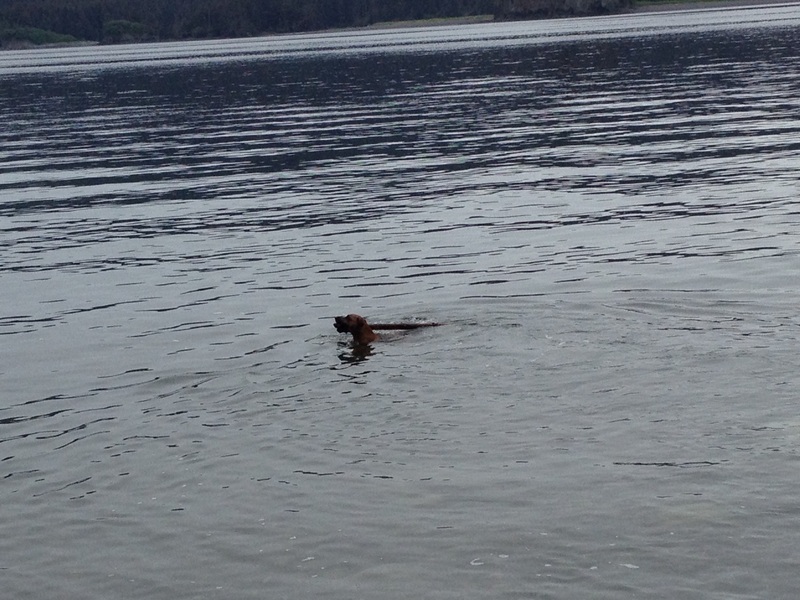 Tracy P.: This is my dog Maud Kennedy swimming on the Solstice. 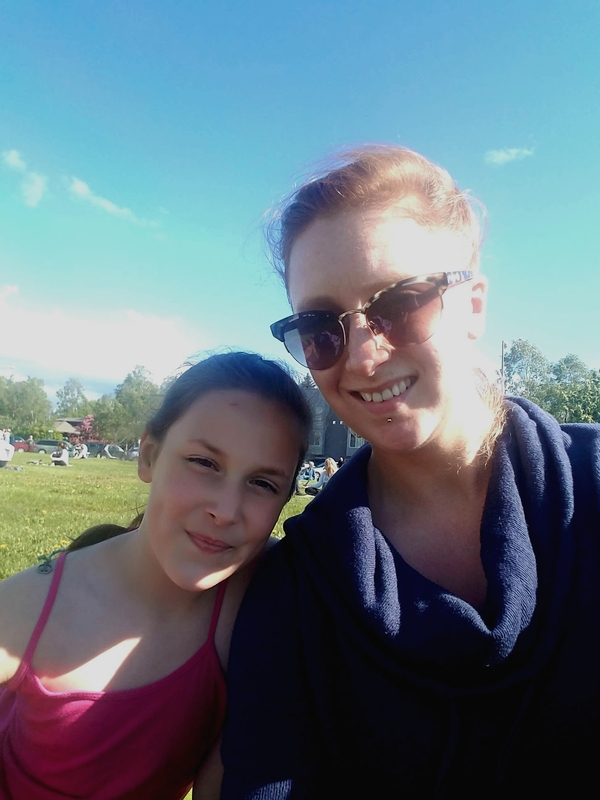 Randi F.: I have been soaking up the free Yoga In The Park on the park strip on Wednesday evenings- even the kids like it! Holly W.: At the finish line of the Women’s Run. 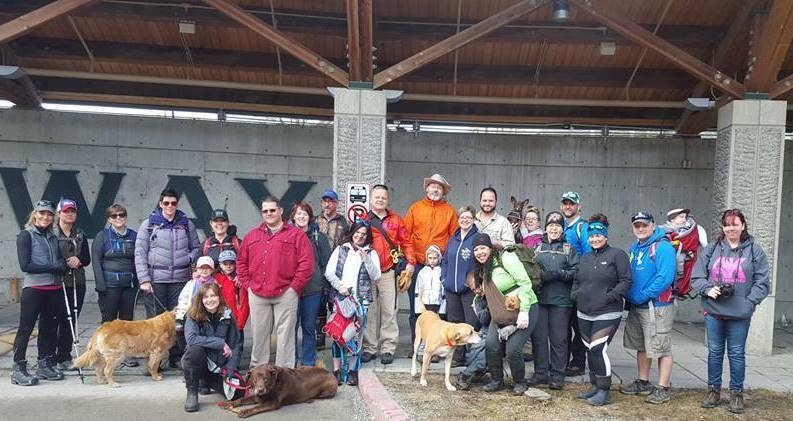 Karen Z.: A few friends and myself went off to Fairbanks for Ingress Mission Day 2017. Ingress is a global location-based exergame that is on your phone. Its main goal is to get people up and moving around. Thankfully the weekend had amazing weather and we were playing from 10am-5pm. Rebecca V.: I have done the women’s run since it started in 1993 , I think I was 4 years old when I ran my first women’s run. I have continued the tradition with my own daughter and she is only 2! 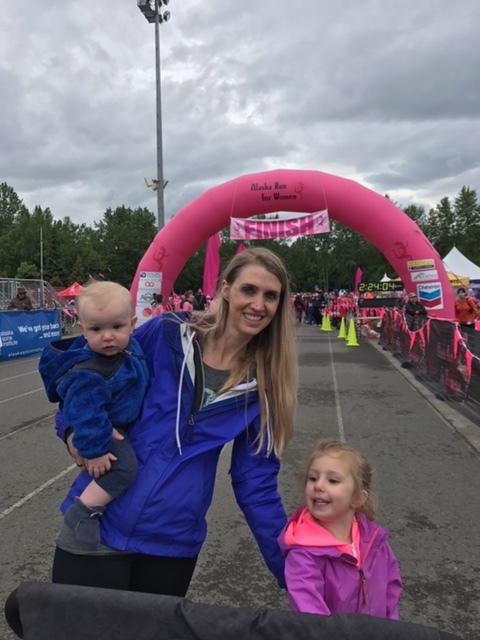 We had a great day even though it rained but enjoyed the beautiful Alaskan summer, family and friends and ran/walked for a great cause!! 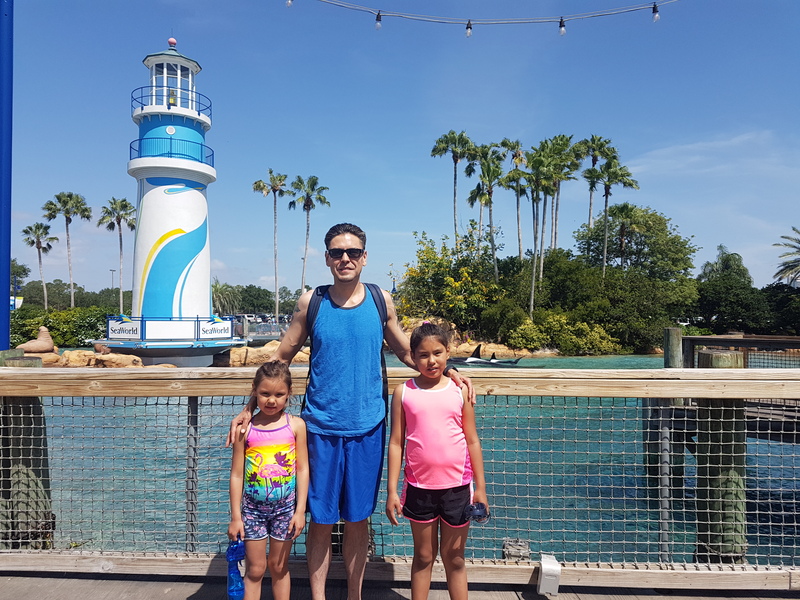 Jeffery W.: Here we took a vacation in May and we are walking around SeaWorld in Orlando, Florida and it was 94 degrees out! 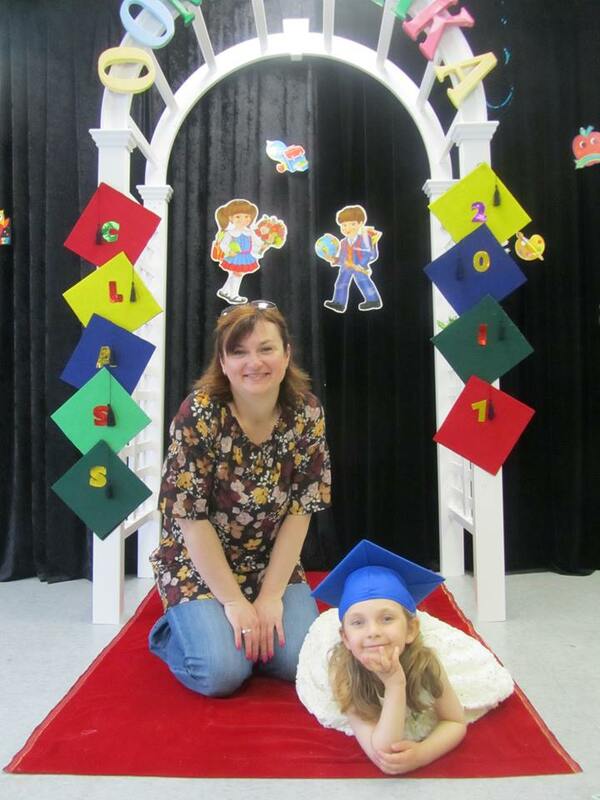 Vlada S.: First Graduation. Very special day and very important. It was a beautiful ceremony with a little performance children prepared for parents. 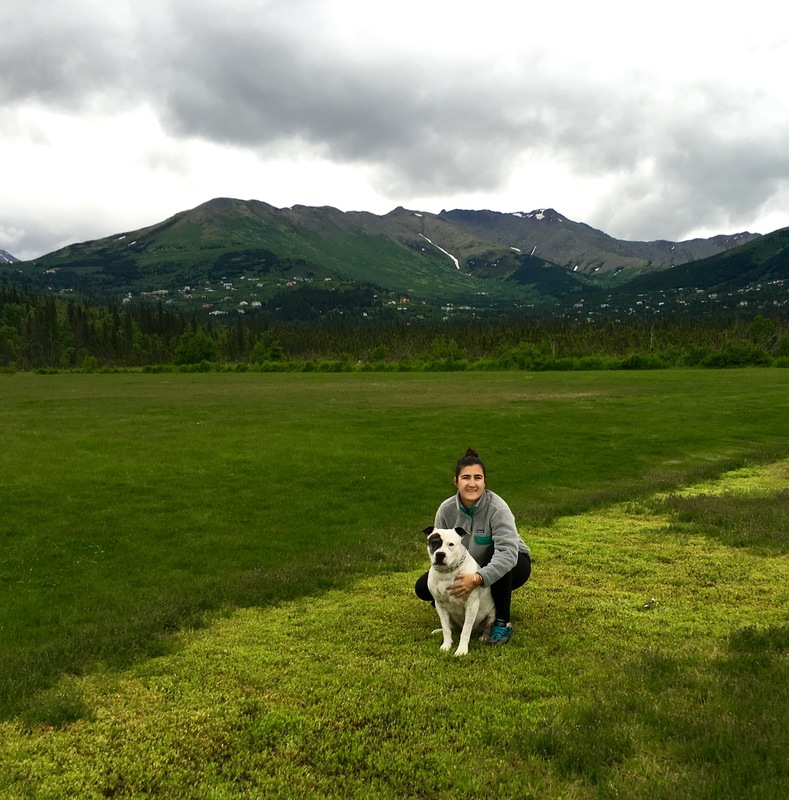 Michelle M.: Headed out to Girdwood after work with my mom and dog for a nice walk and dinner. 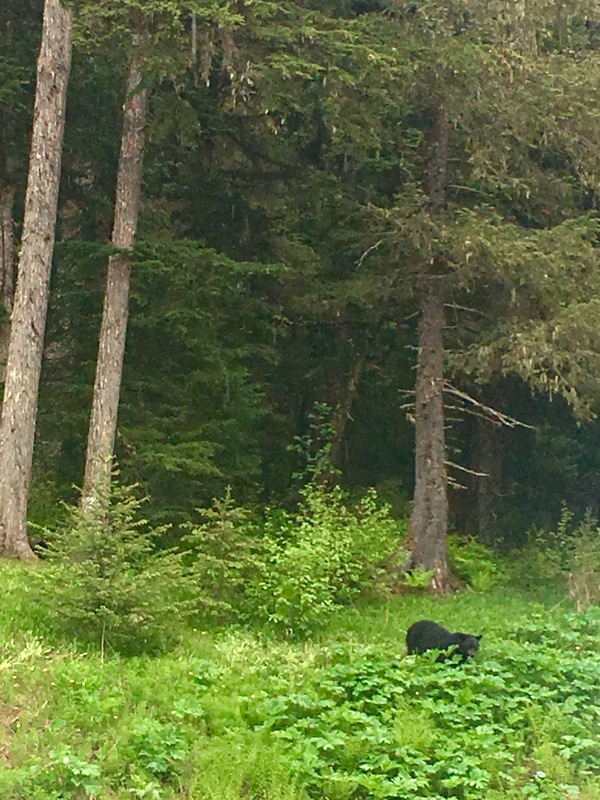 We also encountered a mamma black bear with her 3 cubs! 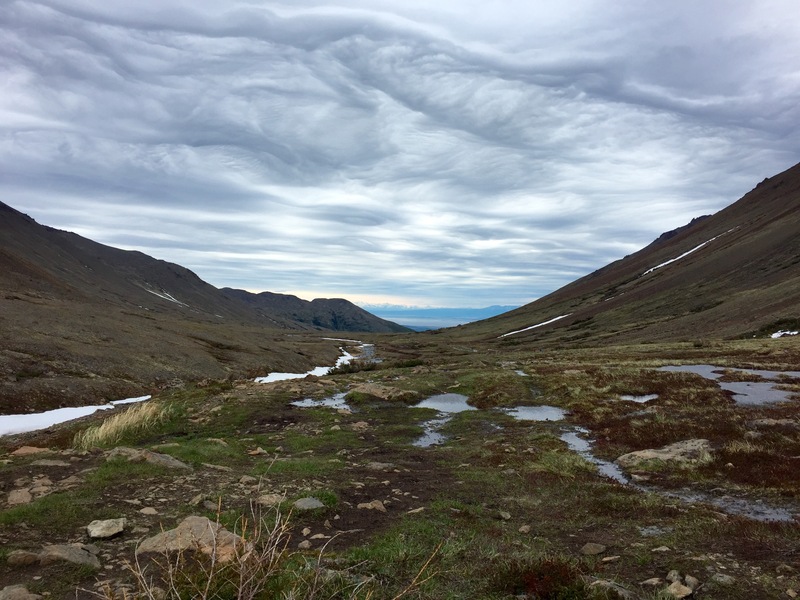 Rebekah M.: Feeling accomplished after hiking up to Gold Cord Lake on Hatcher’s Pass this last weekend!! Didn’t think I would make it but the effort was so worth it. 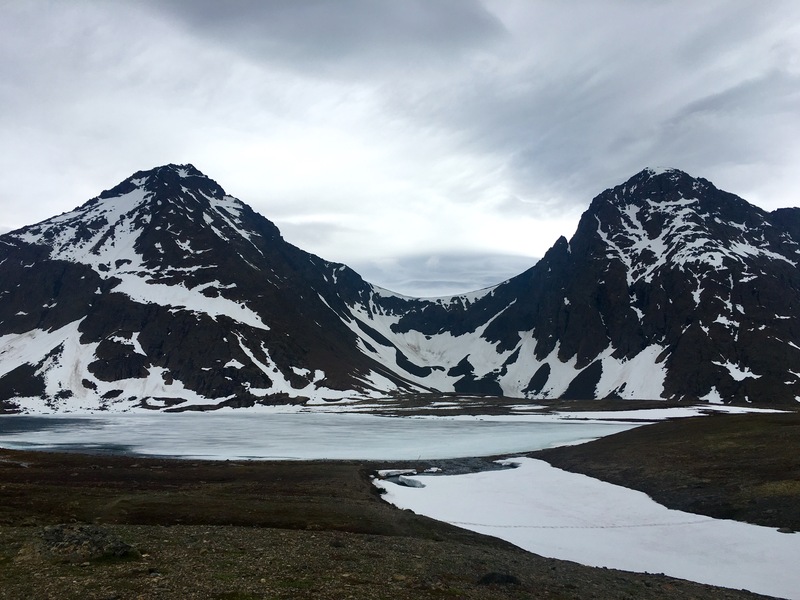 The lake was beautiful and creek water coming from the frozen lake was so refreshing to drink after such a hike! Tipasa F.: I am training to compete in the 2017 AFX Powerlifting Meet in October! 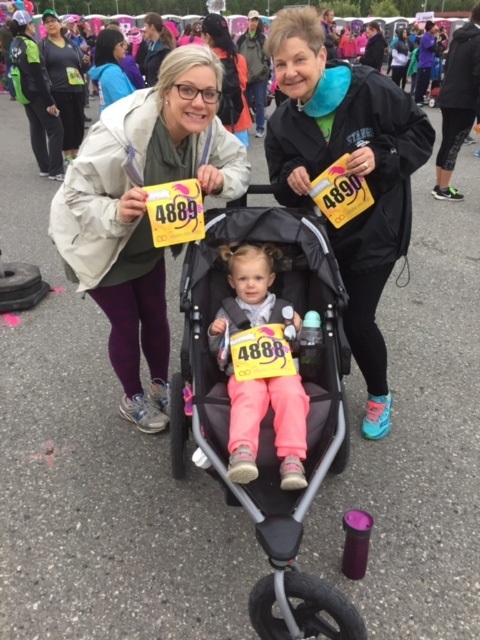 I have been incorporating new tactics to up my stamina and endurance day in and day out. 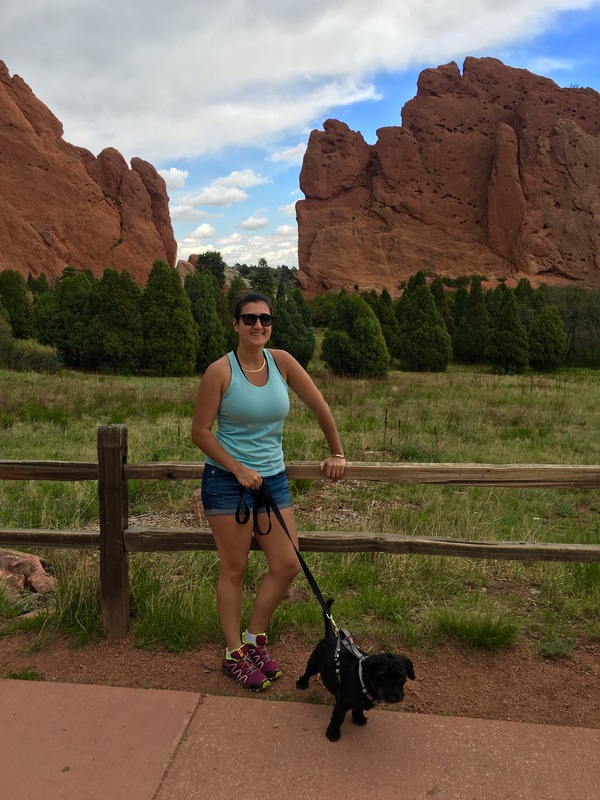 I love fitness and am willing to challenge myself to upgrade my health in the most positive ways and encouraging others to join in on the fun. 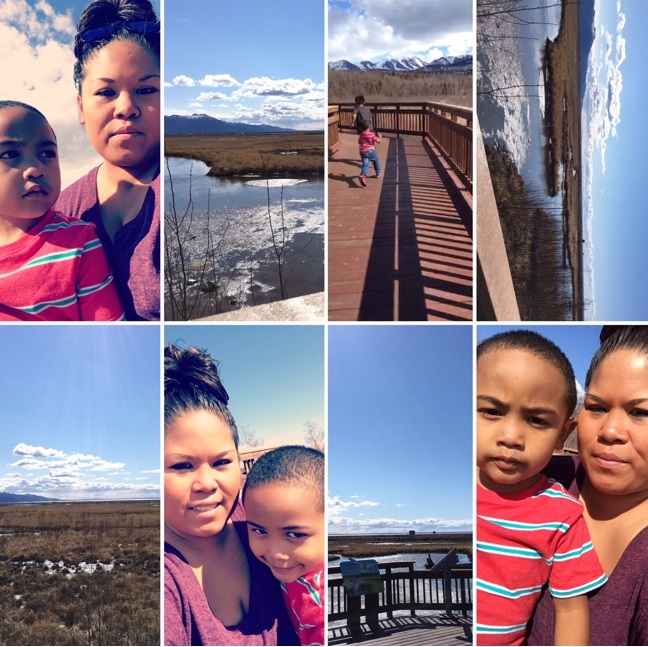 Patricia S.: Took a walk on the Potter Marsh boardwalk with my son. 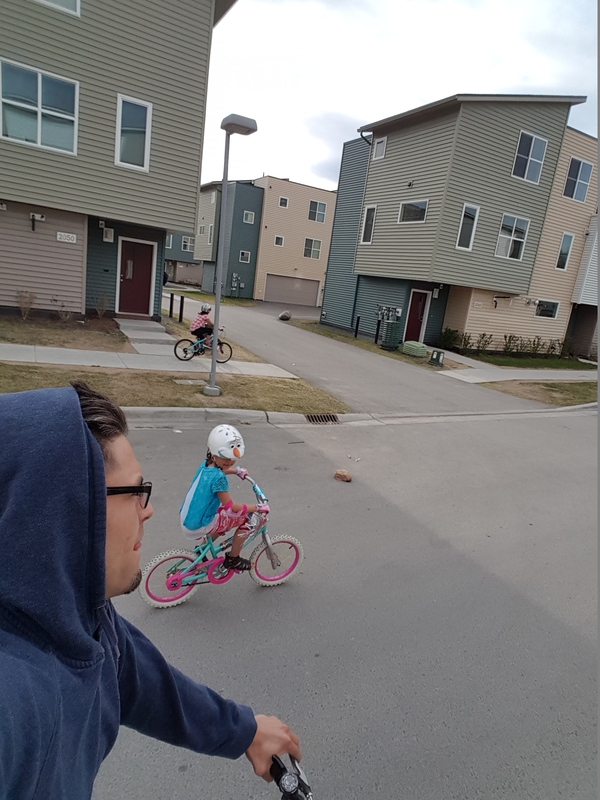 Jeffery W.: My 2 daughters and I going on a bike ride. 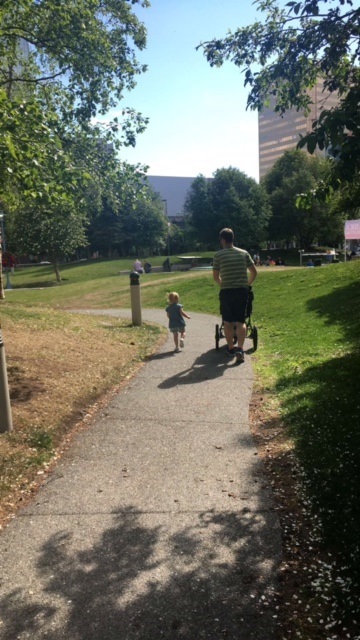 This is my youngest daughter’s first bike ride without her training wheels. She did great! 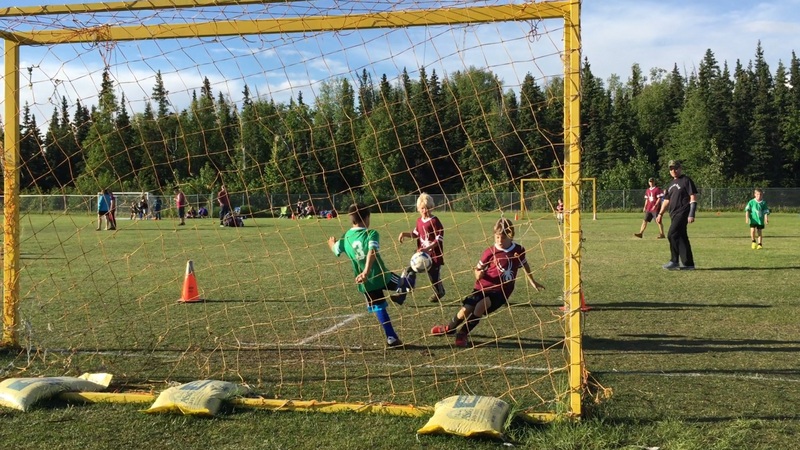 Vlada S.: Fantastic play! 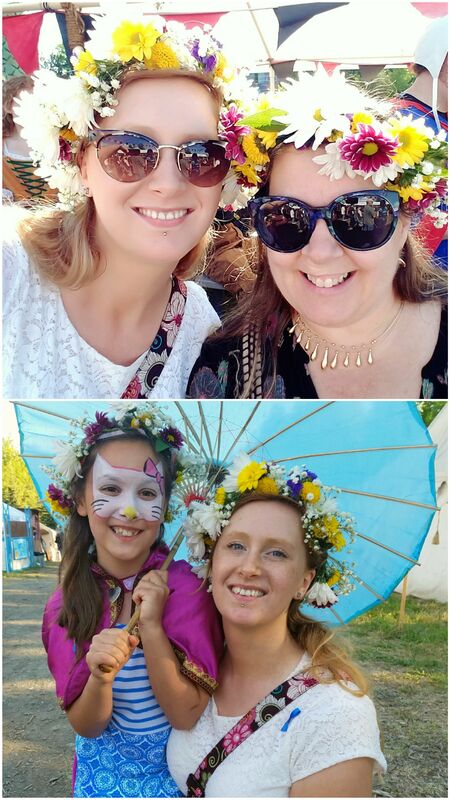 We all, my mom, daughter and myself, loved it very much. Amazing time with family. 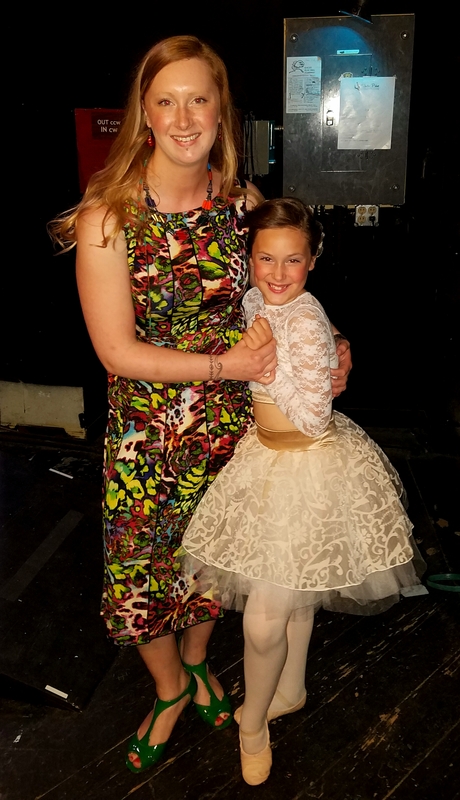 Music and dancing, beautiful dresses, great acting. I grow up on plays, ballet and shows. Every month my mom would take me to one of the best in the world theaters. 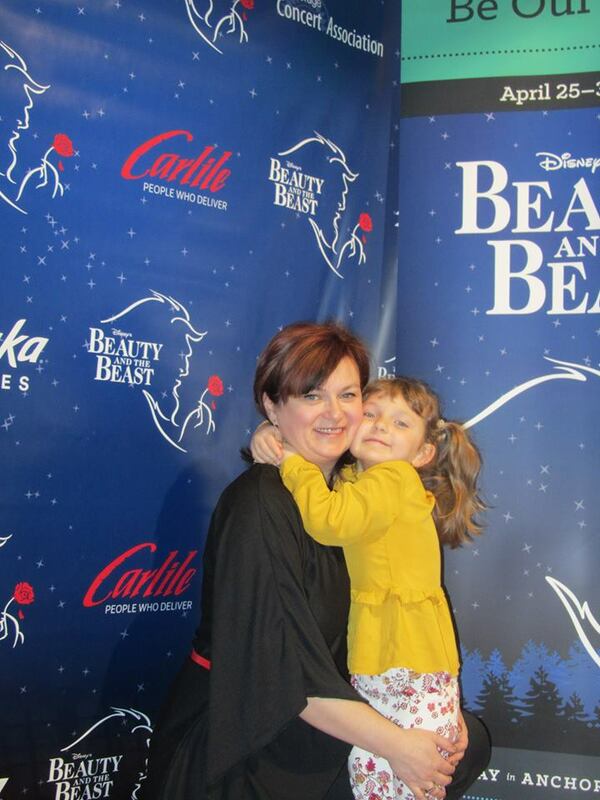 I felt very fortunate to be able to take family to this play. 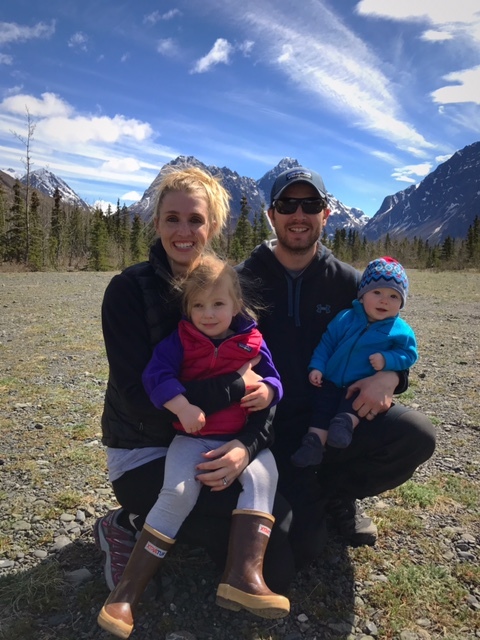 Holly W.: My family (Shane, Addison, and Weston) and I went on a 20 mile round trip bike ride to the back end of Eklutna Lake. Jon S.: Not sure if this counts as I’m the one taking the photo and not the subject but- Jon’s point-of-view during a recent walk to Jewel Lake. 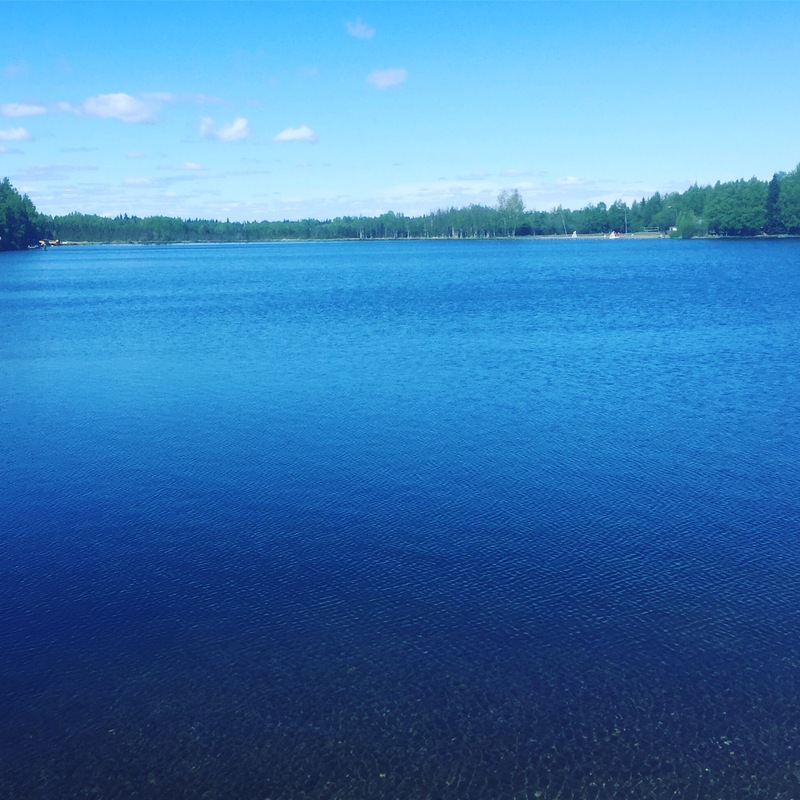 It was a beautiful day to be at the lake as Jon saw paddle boarders, people fishing and even a couple of people swimming in the cold lake wearing wet suits. 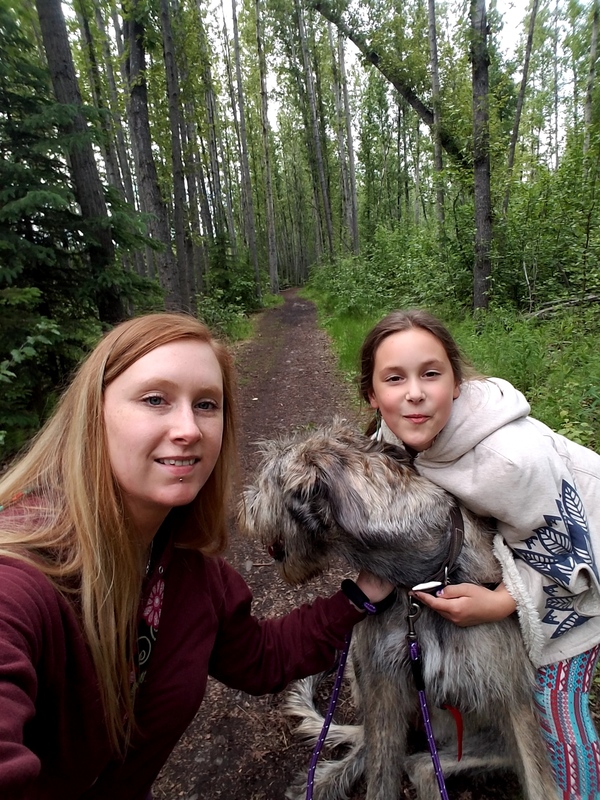 Rebekah M.: Hiking Winner Creek Trail with friends and canine! Super great hike that ended up off the trail and through the woods to avoid ice still on the trail! 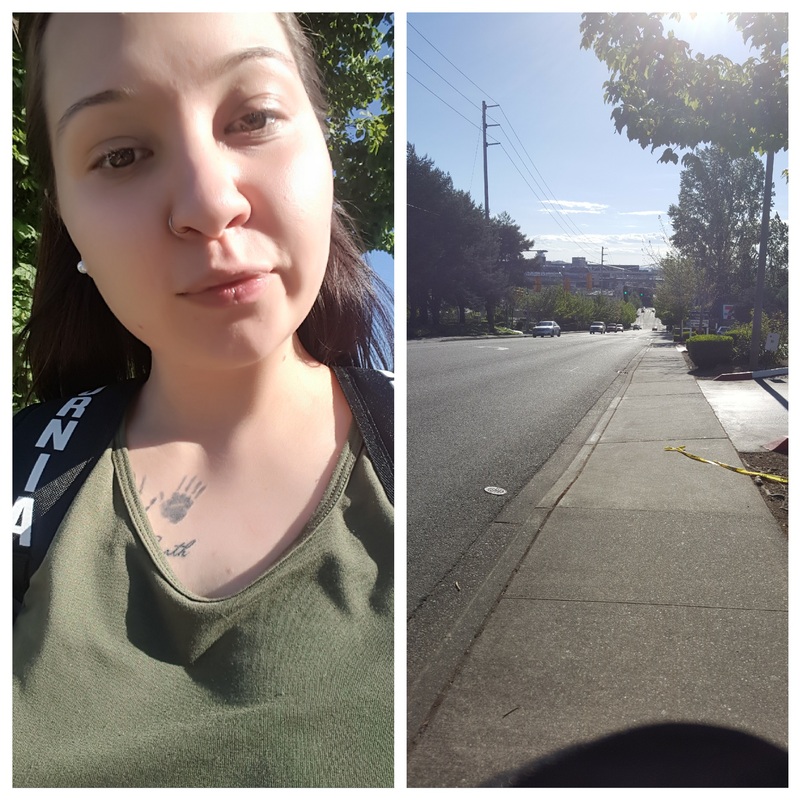 Kayla M.: I walked for a good 3 ½ hours on my layover in Seattle. The weather was at a nice 73 degrees and I even blistered up my toes from walking so much! 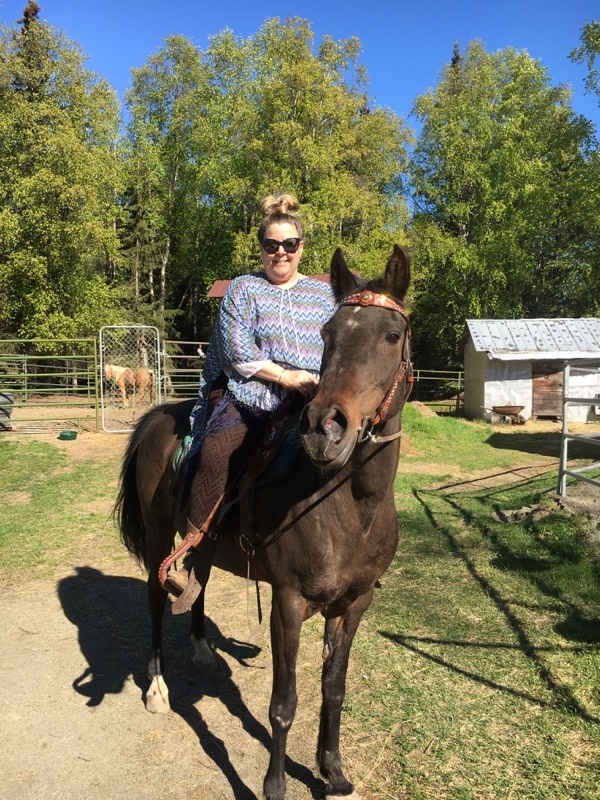 Rebekah M.: Now that the weather is warmer and the daylight longer, taking a ride after work is a great way for my horse Melody and myself to get a workout! This summer we are both working hard to get into shape and be healthier. We had just come back from an hour long ride in this photo. 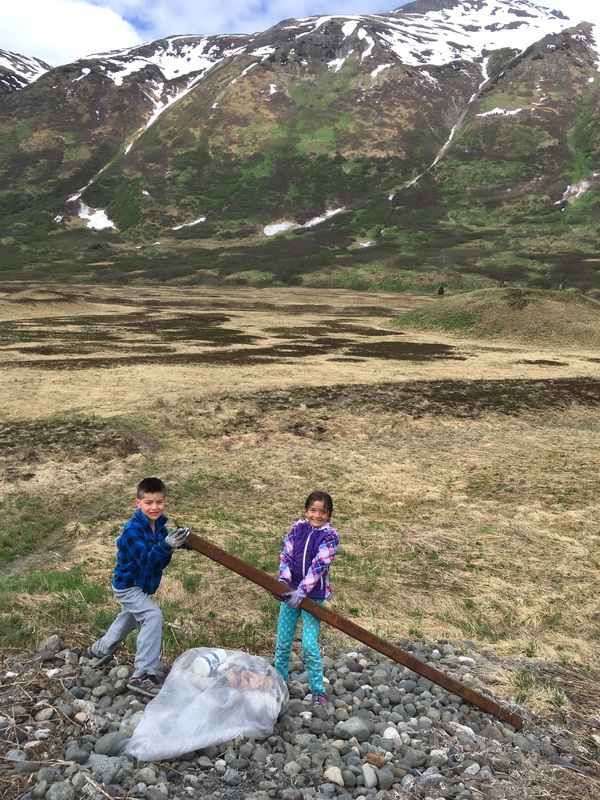 Janet S.: I’ve attached a picture of Tristan and Ayla helping at the Turnagain Arm Spring Clean-Up. Lots of fun in our great outdoors! Have a wonderful weekend! 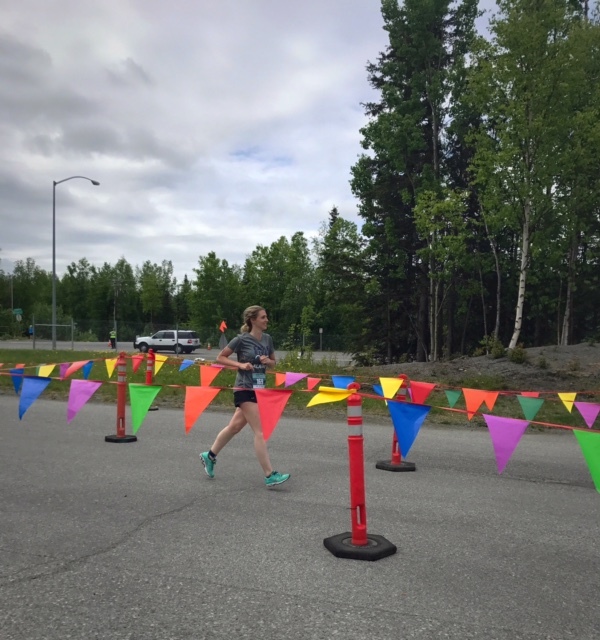 Holly W.: Here I am near the finish of the Eagle River Triathlon! Krissy C.: I spent Spring semester studying late into most nights for my geology and math classes. 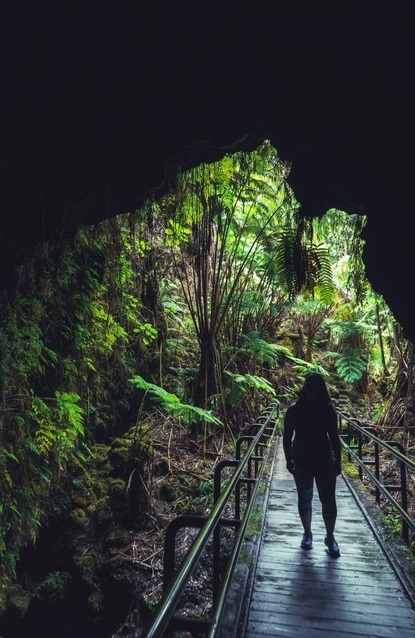 Last week I was able to take a break from the textbooks and explore Hawai’i Volcanoes National Park in person! Applying everything I’d learned over the last five months was rejuvenating. Excellent life balance. 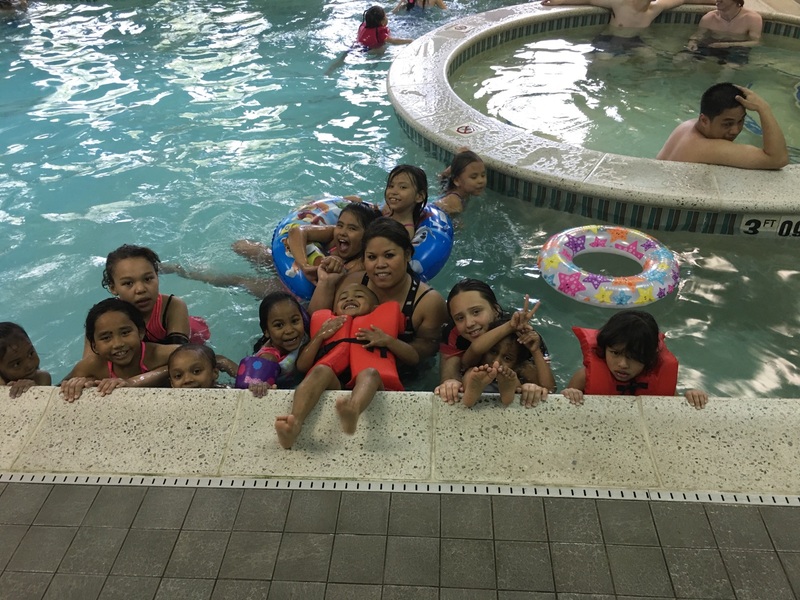 Patricia S.: Swimming at the swimming pool with all the kiddo’s for my sons birthday party! Carmen M-J. 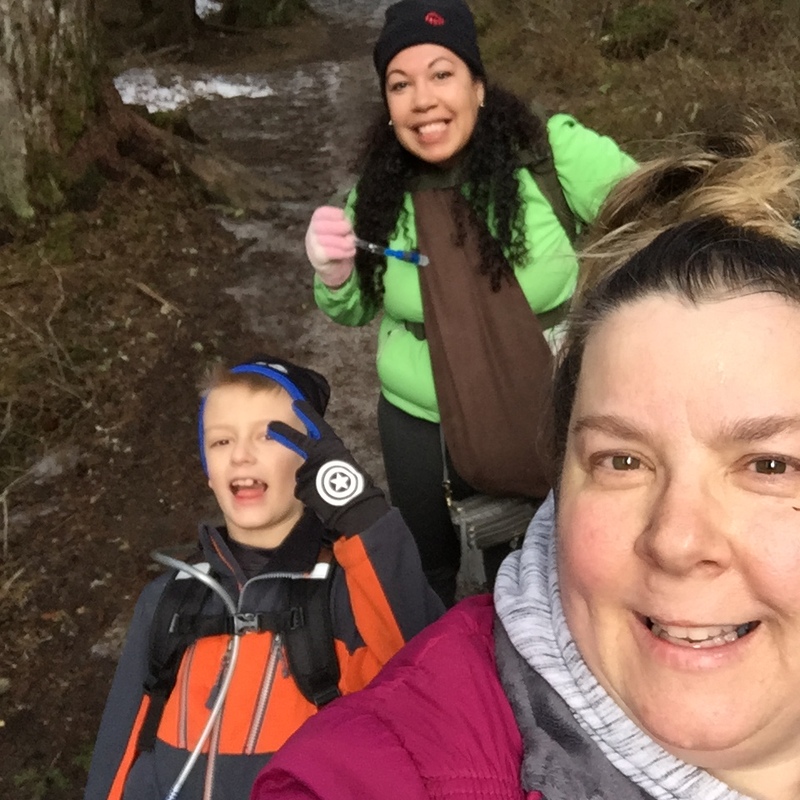 : My son and I have joined a hiking group that meets every Wednesday and Sunday. 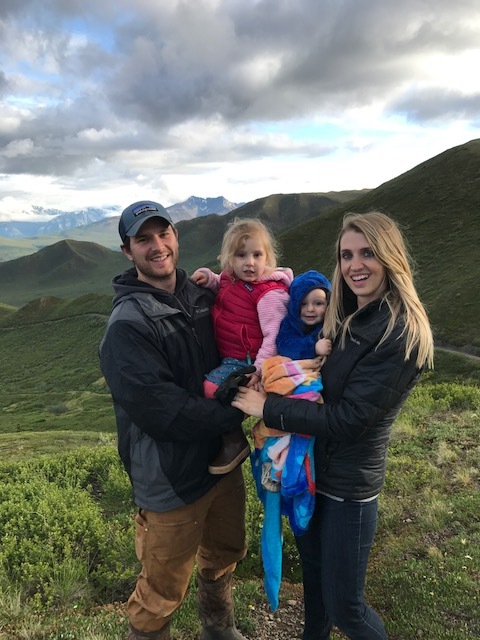 We have met some great people and we are getting to see more of how beautiful Alaska is. Denielle B.: My friends and I love to follow the Anchorage RandomactsofArtness Facebook page (yep, the last part is all one word). 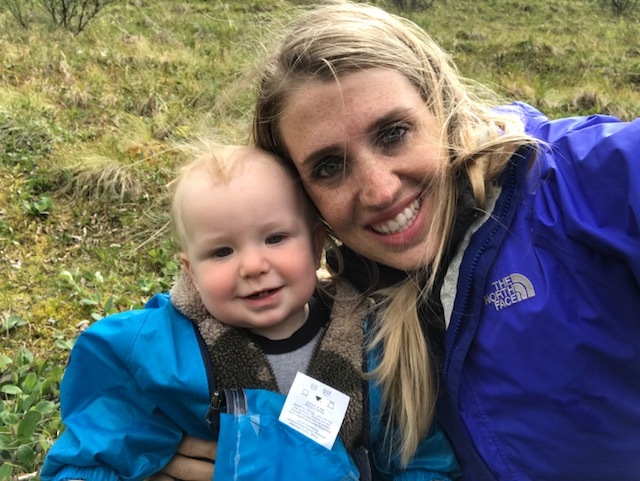 A local artist paints rocks and hides them around Anchorage. She posts clues to where they are. Finding them gets us out and about in parks, community spaces and local neighborhoods. 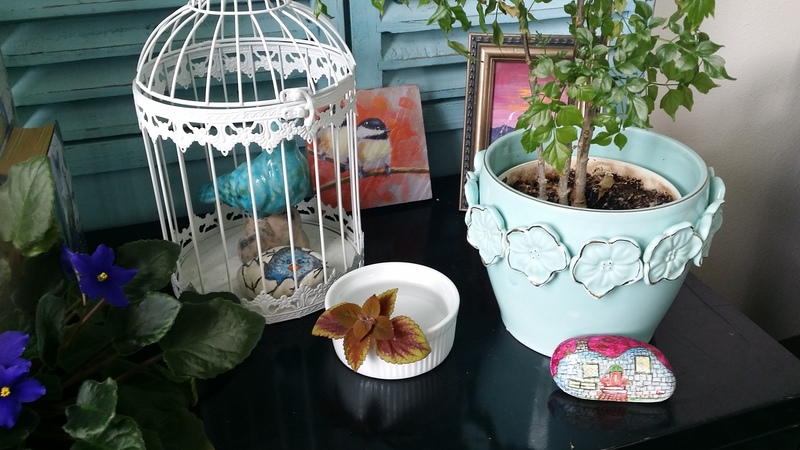 This photo shows the two rocks I found and placed in my office. One friend has found three rocks and another friend one so far. It’s addictive in a very positive way! !